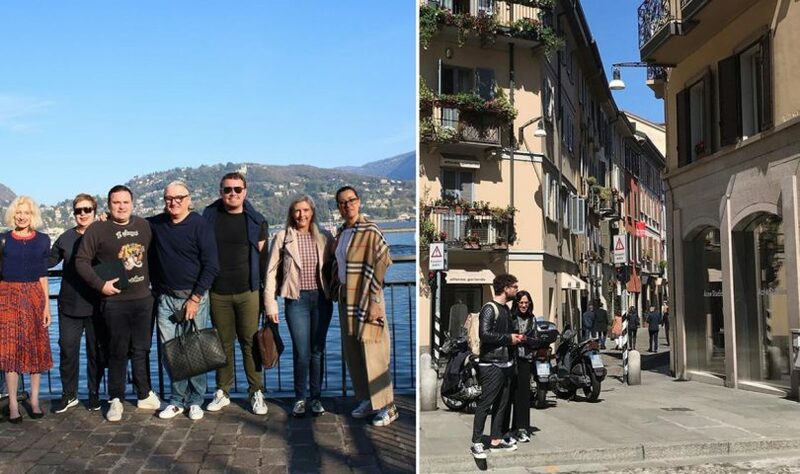 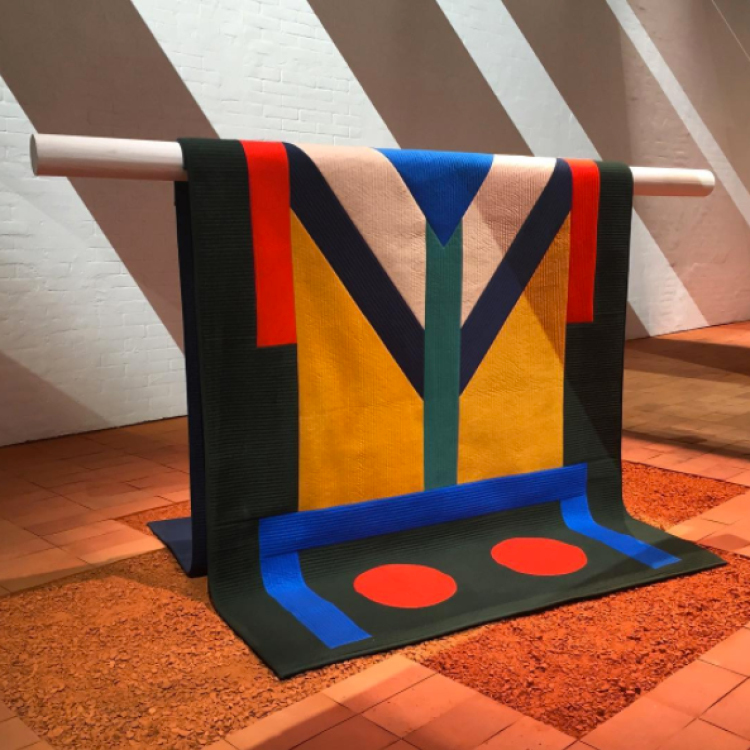 The most important event on any design aficionado’s calendar, the Salone del Mobile and Milan Design Week are back and better than ever — kicking off officially this evening — with disciples from around the world descending upon the style capital. 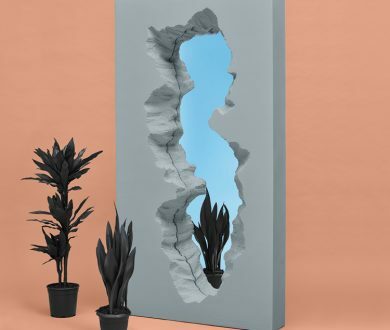 With a spate of exhibitions, immersive installations and more furniture than one could possibly need (but will still most certainly want), we’ve done the hard yards for you and tracked down the best of the best. 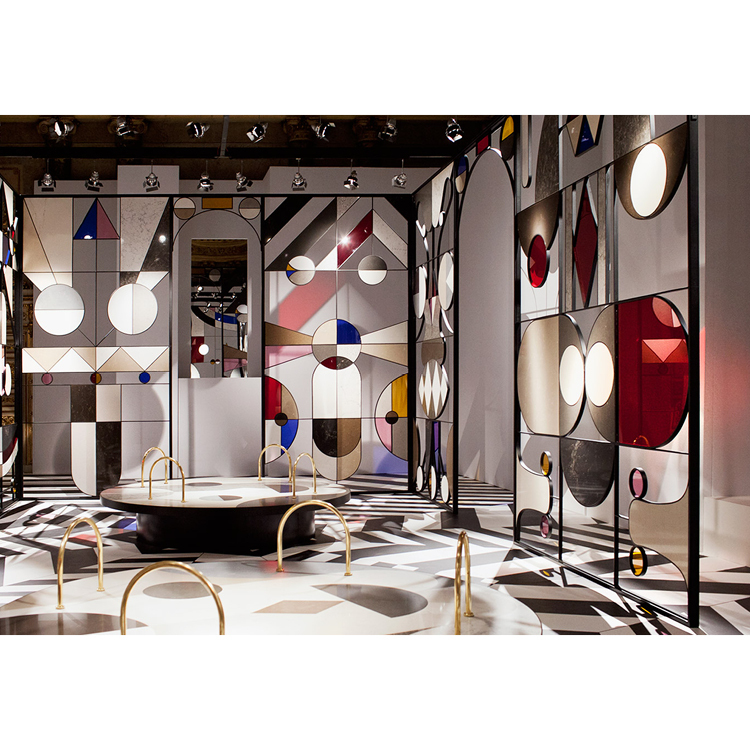 Our list of unmissable highlights will be updated daily so you don’t miss out on the most exceptional pieces Milan Design Week has to offer. 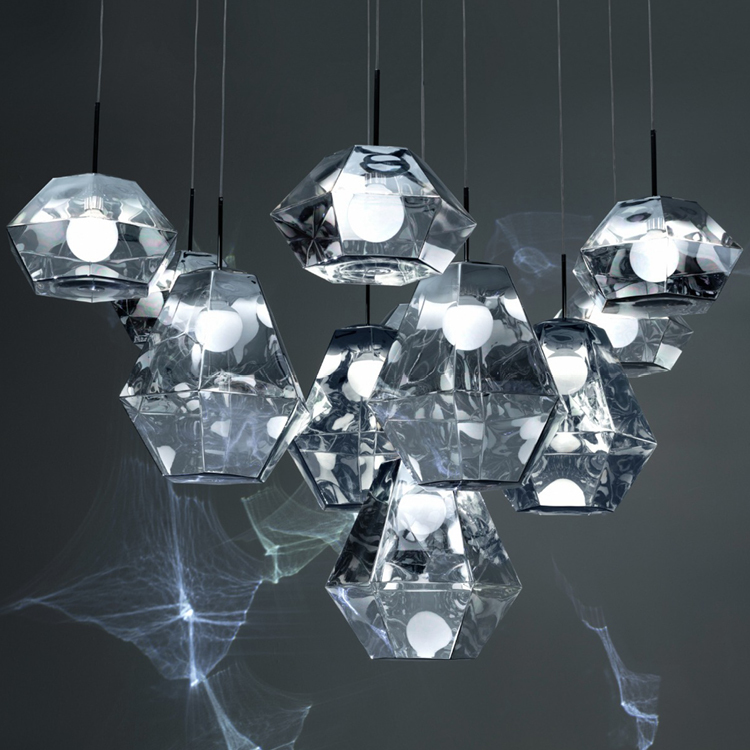 The creative masterminds behind this collection understand the powerful relationship between crystal and lighting. 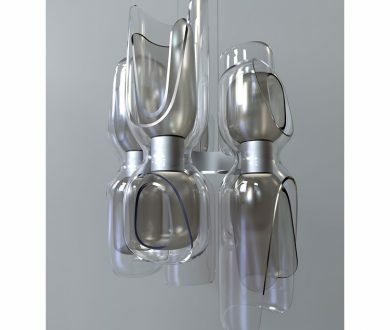 Drawing inspiration from the orchid flower, the lights are reminiscent of the beauty of nature in full bloom. 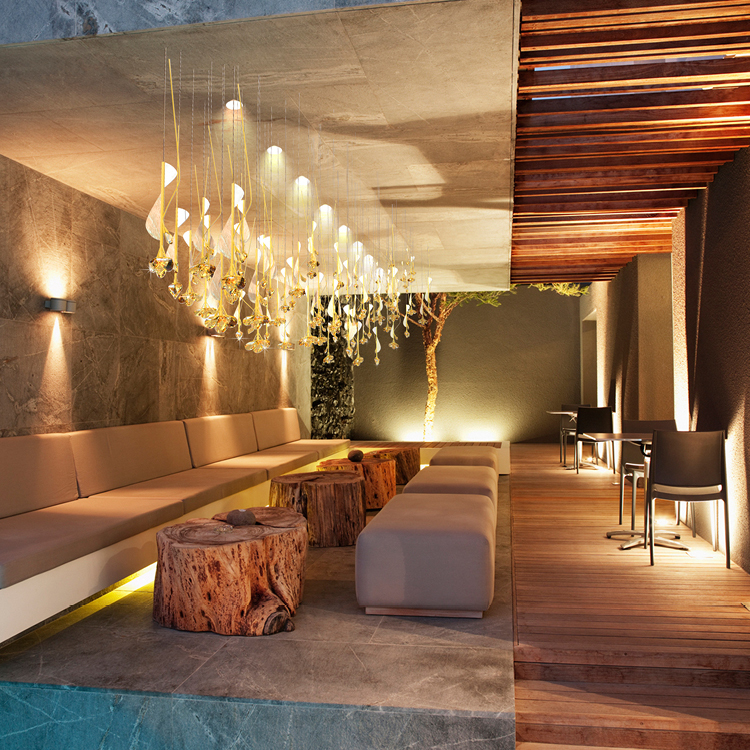 Inspiration was acquired after a road trip from Phoenix to Palma Spring where you are completely surrounded by nature. 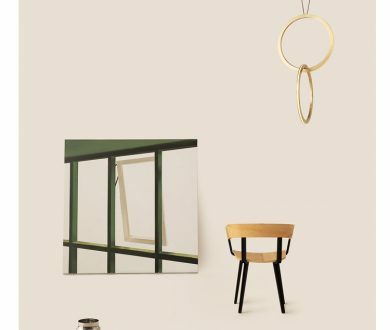 Rosso is veering the furniture brand into a bright and fun future with this mix of desert modernism and 70’s hotel vibe. 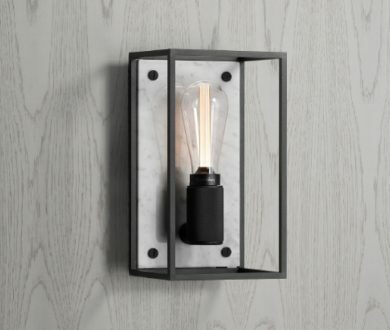 Diesel lighting is available locally at ECC. 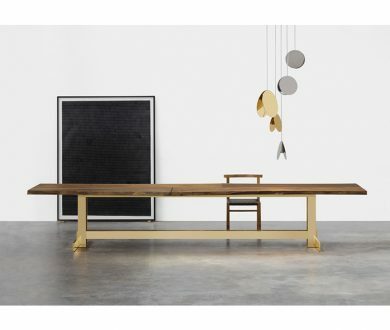 It was a case of East meets West with the elegant new releases presented by up-and-comers Stellar Works, showcasing their typical sense of quality and modernity via the Mandarin chair. 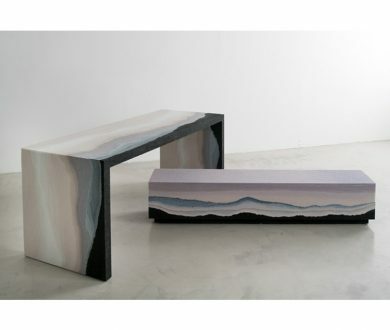 Stellar Works is available locally at Backhouse. 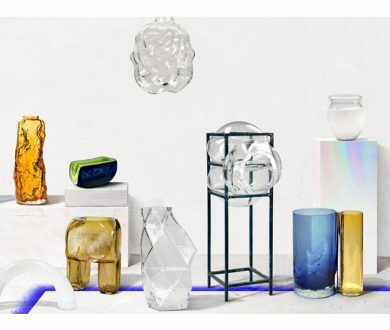 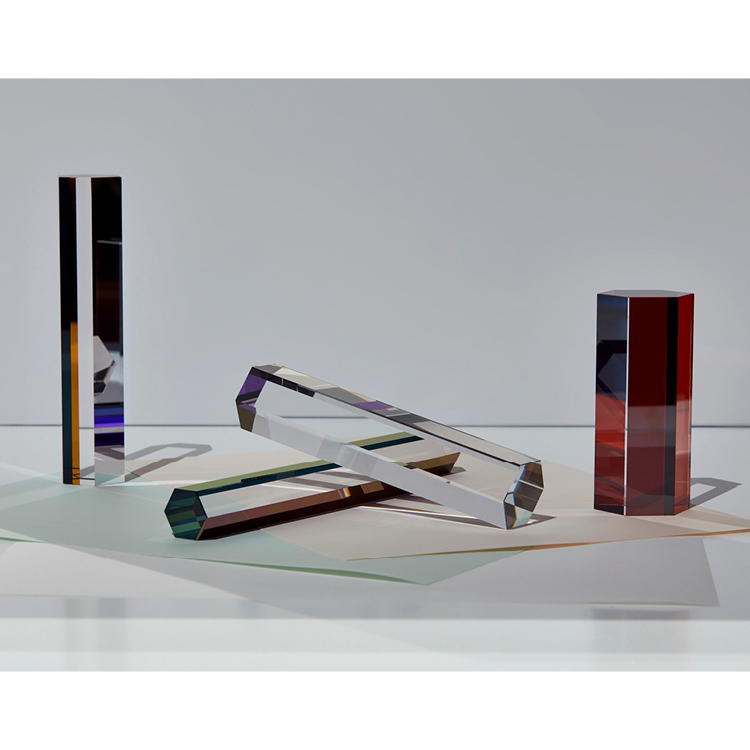 Icelandic-German art and design studio created these exquisite ‘Crystal Sticks’, or paperweights, as a continuation on from the spirit of the 2016 collection. 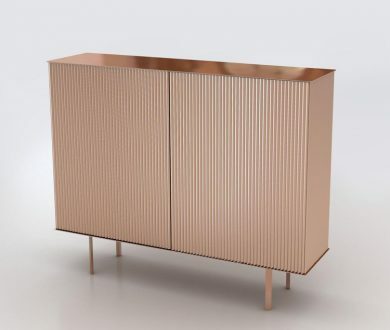 This cabinet exudes elegance, with small feet, light and delicate shapes it perfectly complements any space. 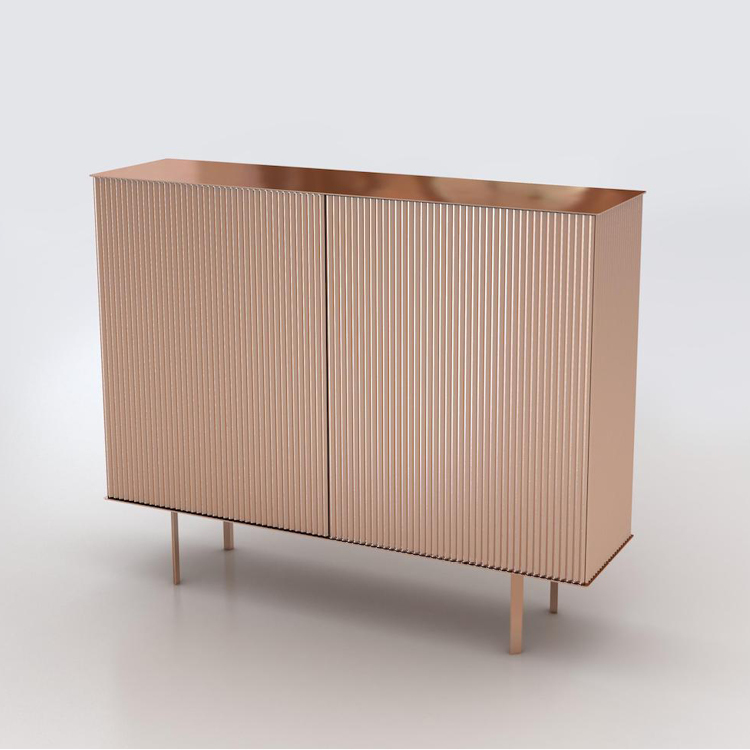 The polished copper creates vibrant reflections and a feminine allure. 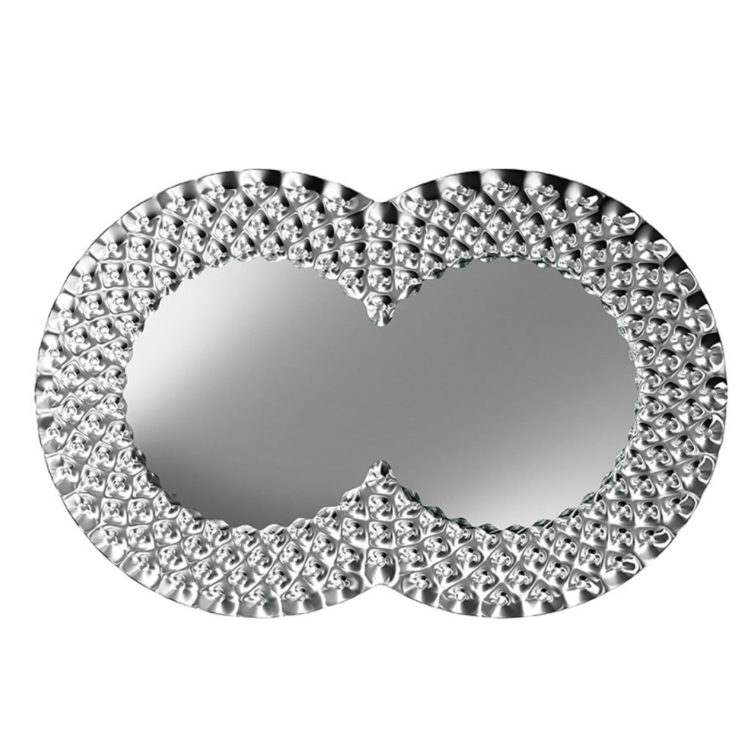 De Castelli is available locally at David Shaw. 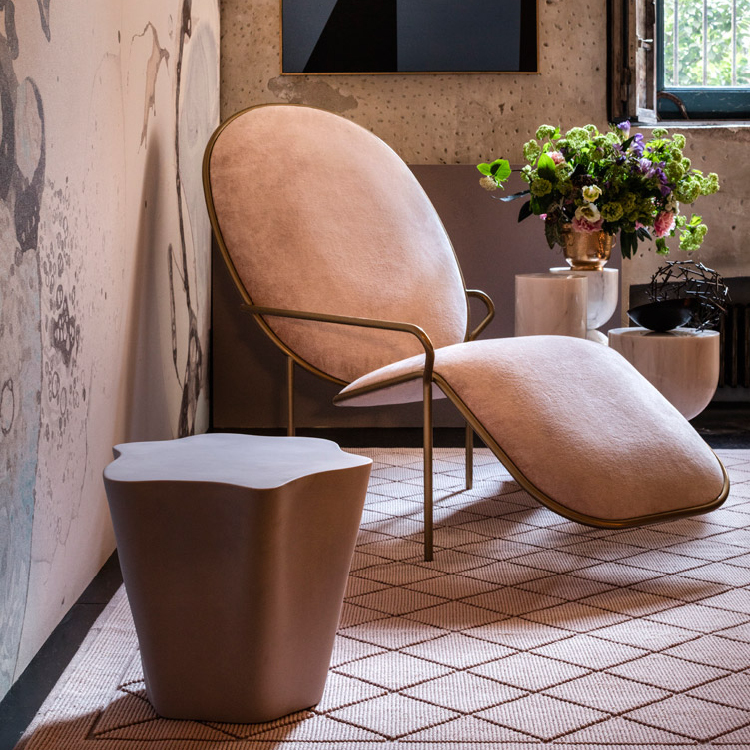 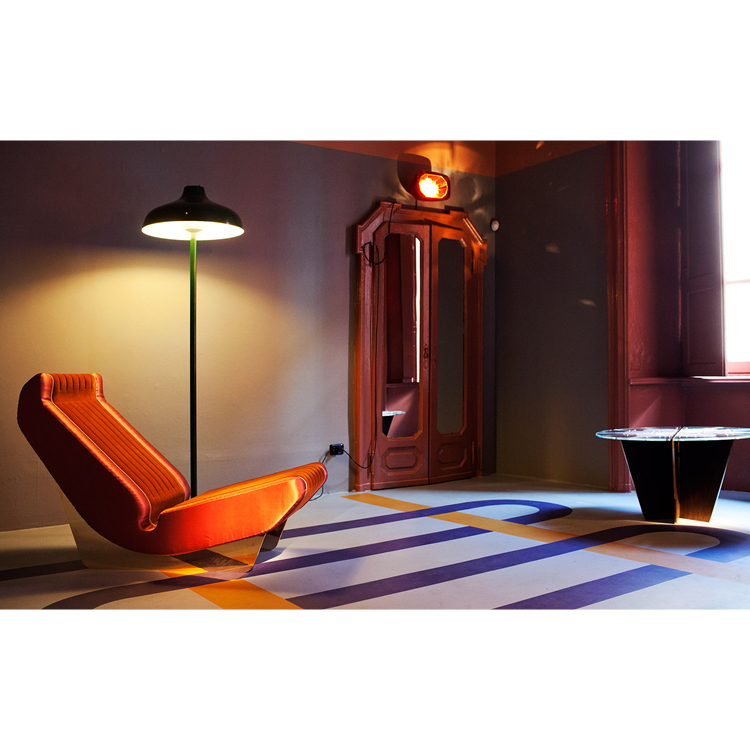 It’s not often we see an impeccably curated apartment, but that is exactly what Dimore Studio has presented with a showcase of new furniture at its gallery in Brera. 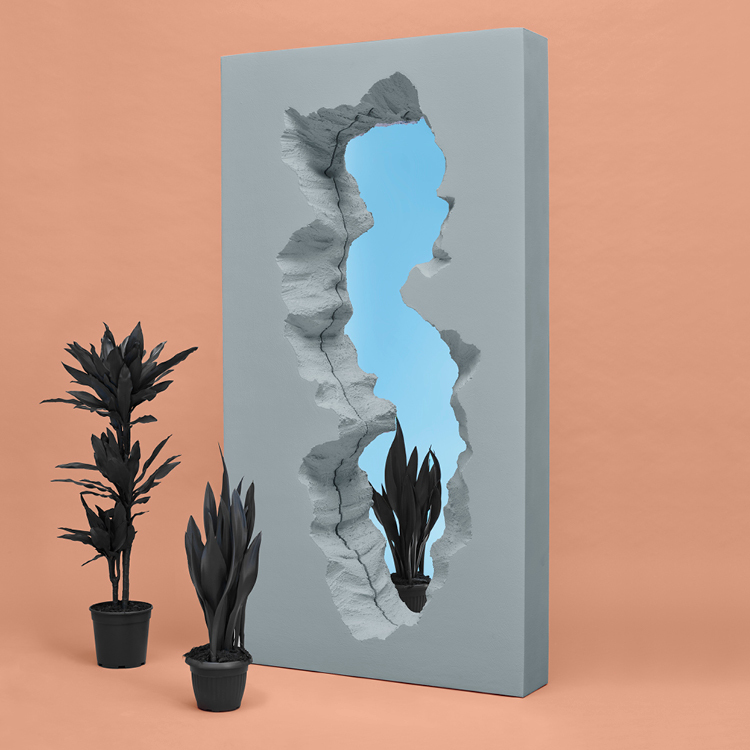 Aptly entitled ‘Escape’, you’d be mistaken for sitting amongst a faraway crystal-laden cave with this new series from Brooklyn-based artist Fernando Mastrangelo. 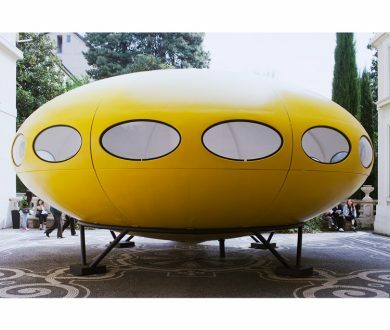 Looking more akin to a UFO, or something from the Jetsons, originally designed by Finnish architect Matti Suuronen in 1968, Louis Vuitton presents the Futuro House to coincide with the ‘Objets Nomades’ exhibition. 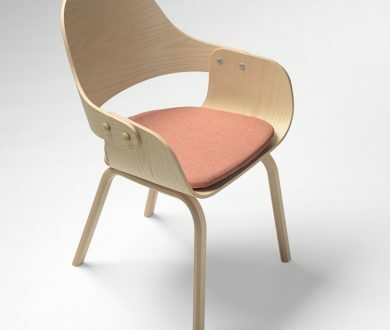 First unveiled in 2007, this is a customisable seat with scooped sides and a curved backrest and armrests. 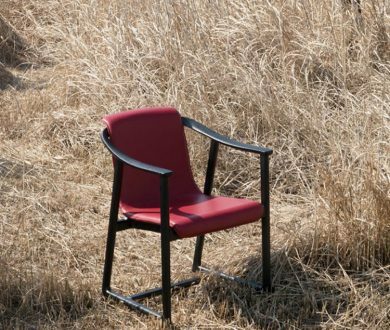 The new version is a simple reinvention intended to be sold only with a seat cushion and no other upholstery. 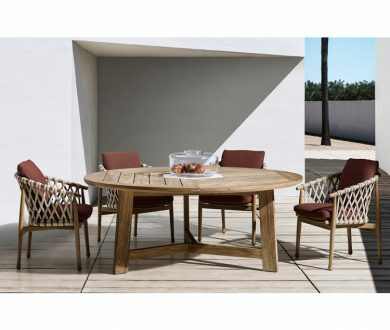 BD Barcelona is available locally at Matisse. 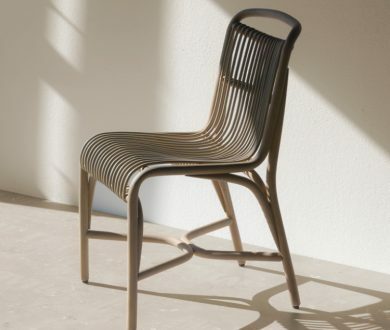 Originally trained as a cabinet maker, Grcic went on to produce furniture and lighting for some of the worlds leading designers and this chair is a reflection of his passion and expertise. 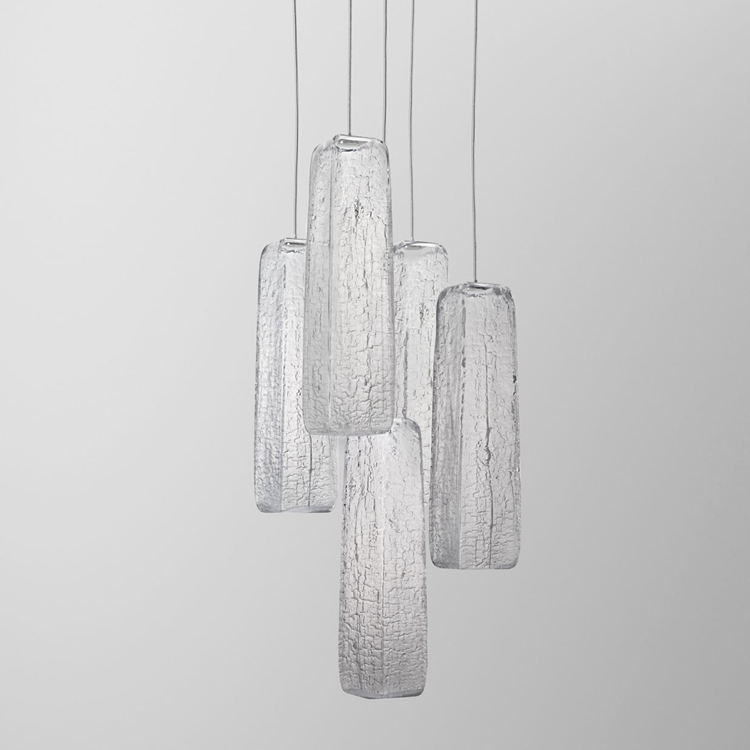 Mattiazzi is available locally at Simon James. 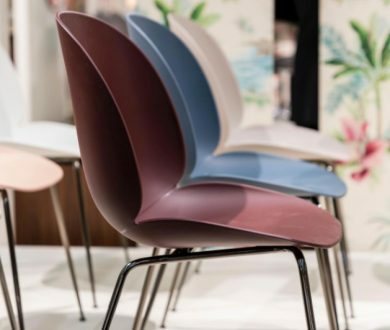 Bringing a pop of colour and light to the room, these un-upholstered Beetle Chairs came from a fascination with the insect world and a close look at the anatomy and movement of the beetle. 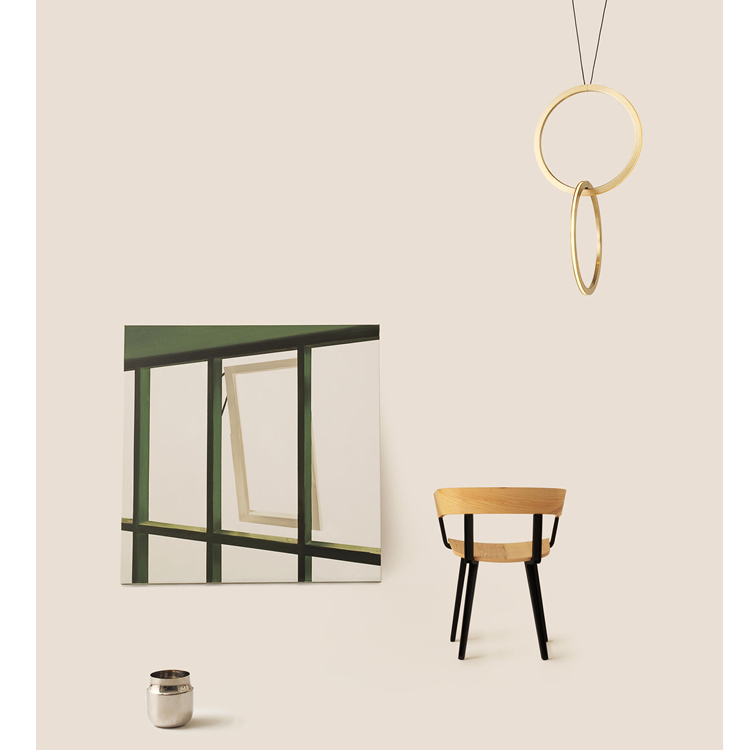 Gubi is available locally from Cult. 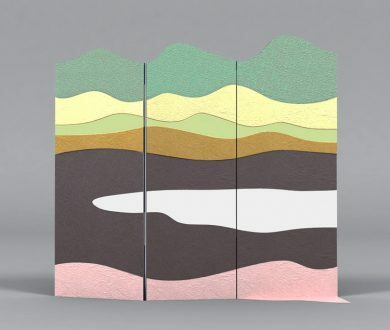 Akin to a Shoji screen, the female designer presents dream-like landscapes painted using colours resulting from different metal oxidisations. 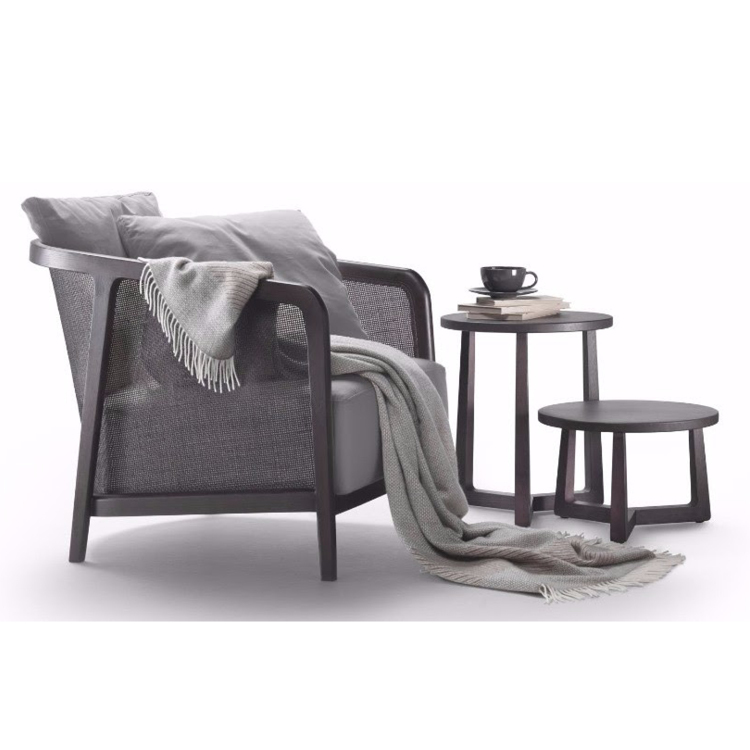 A neo-colonial style chair that looks good with an array of seating combinations due to its discreet proportions, or alone in its own little nook. 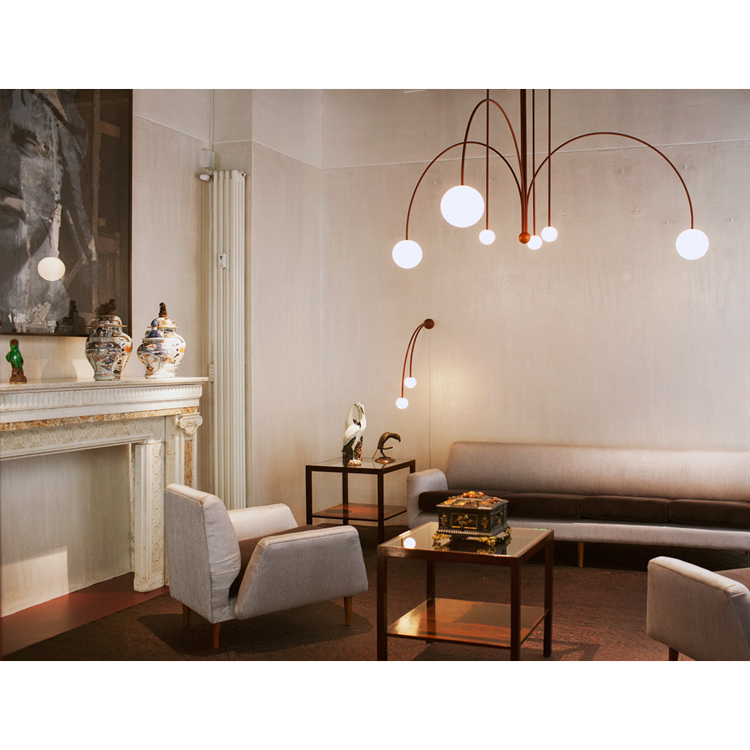 Flexform is available locally at Studio Italia. 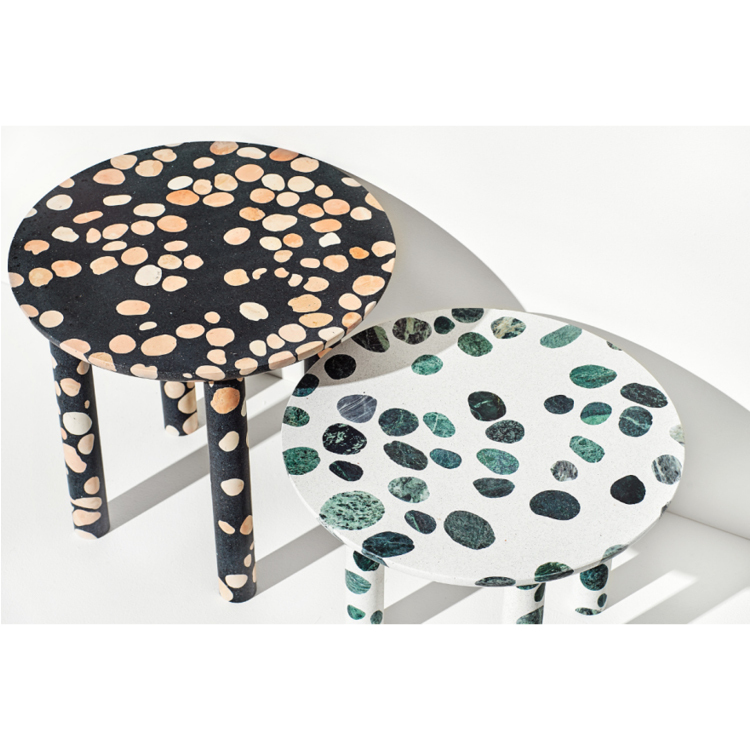 Returning to his home town in Italy, Bellamoli has given terrazzo, what is locally known as ‘poor man’s marble’, a fresh new use. 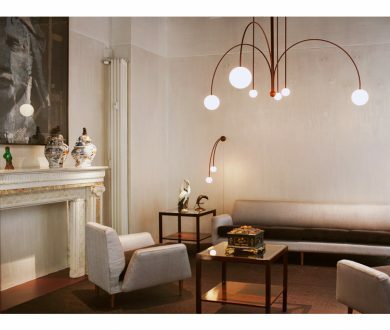 These new iterations of maroon lighting have made a poetic entrance to the renowned Nilufar gallery. 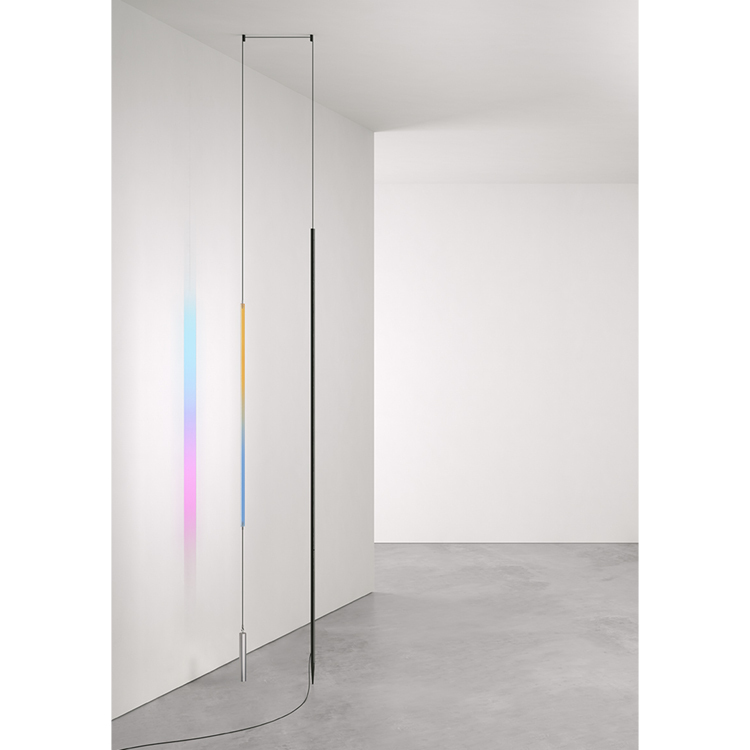 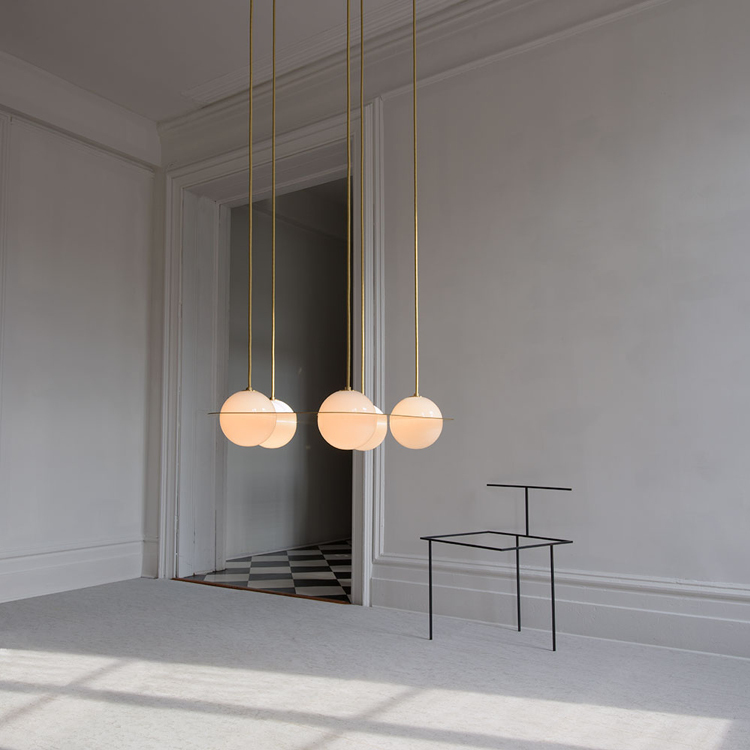 Michael Anastassiades is available locally from ECC. 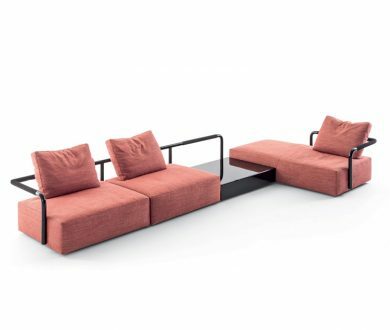 A new piece for Zupac’s collection, the Stay daybed carries on our love affair for ‘Millennial Pink’. 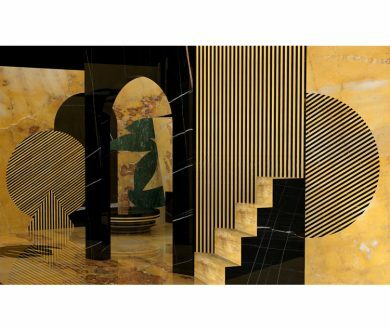 Ermičs often employs his graphic design background to add fresh new approaches to design, clearly evident with this amazing new collection. 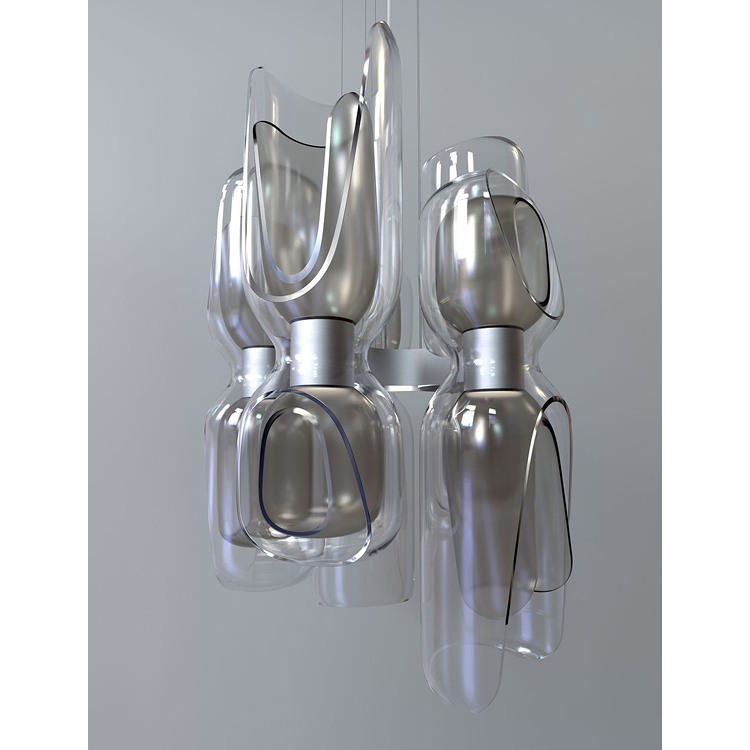 These glass pieces on display were developed during a two-day workshop in Marinha Grande, a region known for its glass blowing tradition. 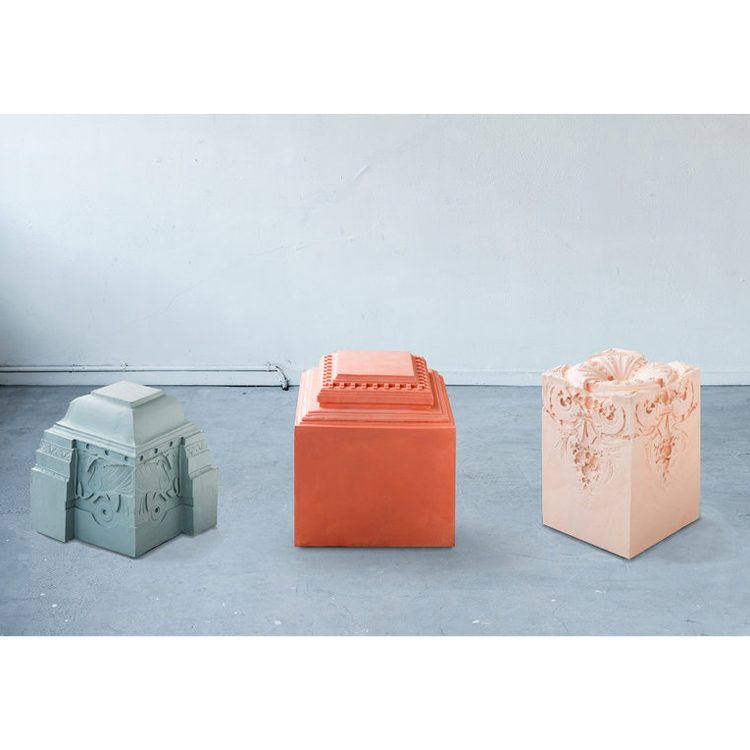 The ornamentation of architecture through the ages is examined with these pieces, giving new identity to the existing world surrounding us. 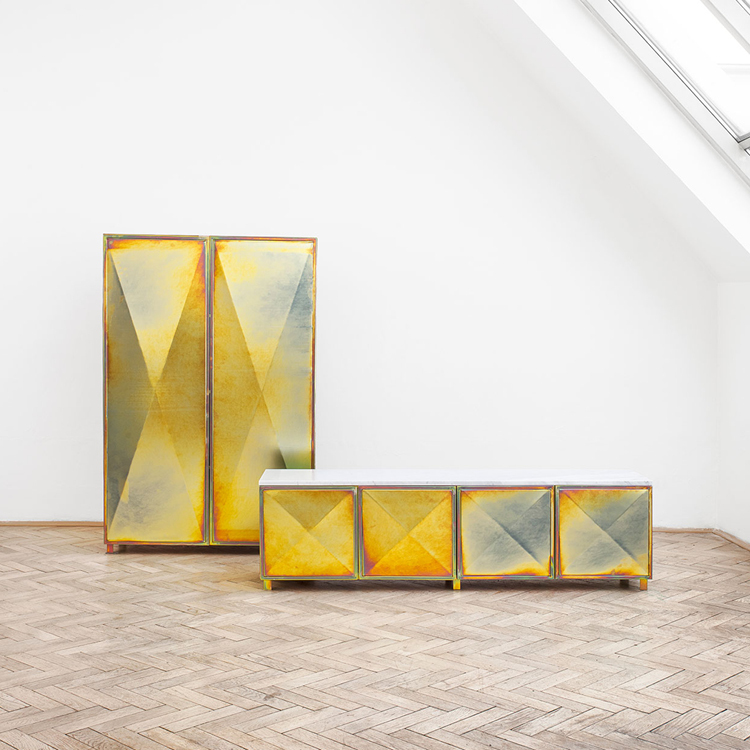 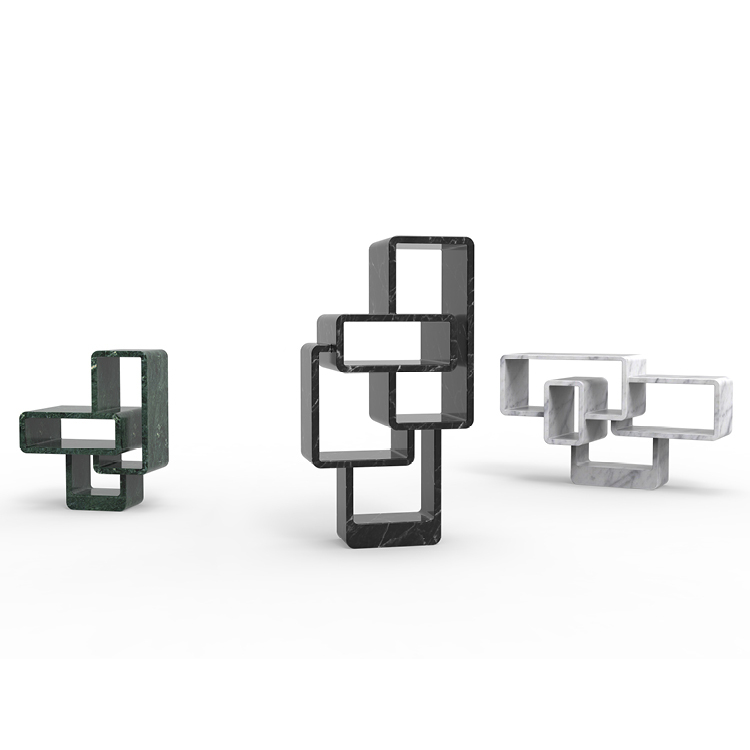 The collection, Elements of Time, focuses on architectural fragments of time. 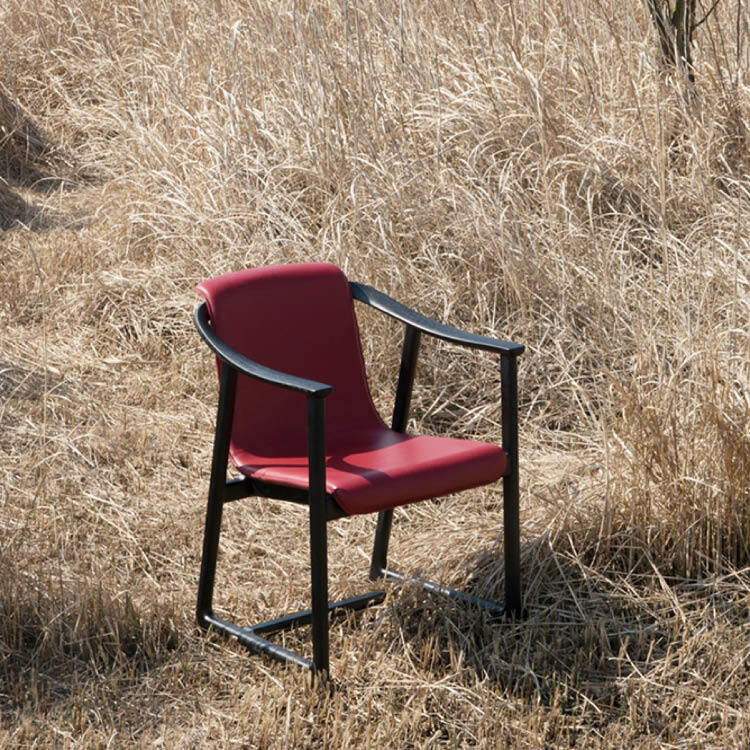 Featuring a painted black wood base, this chair has a steel frame with removable covers allowing for a choice of colour options. 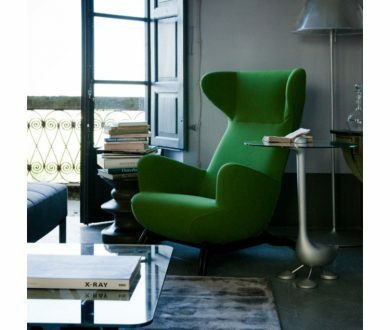 An armchair that is guaranteed to turn heads, it takes its inspiration from the iconic period of mid-century elegance. 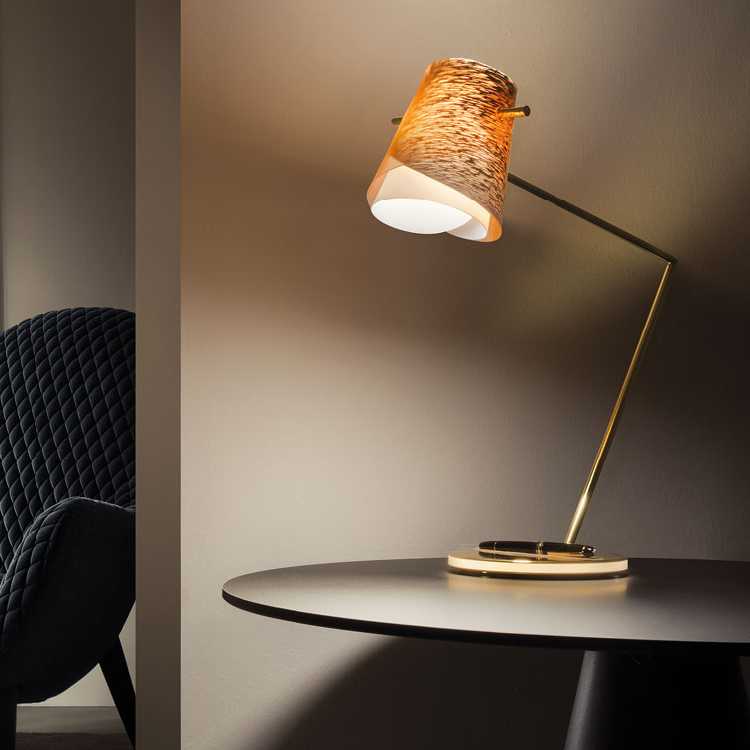 The final result is one of sophisticated elegance. 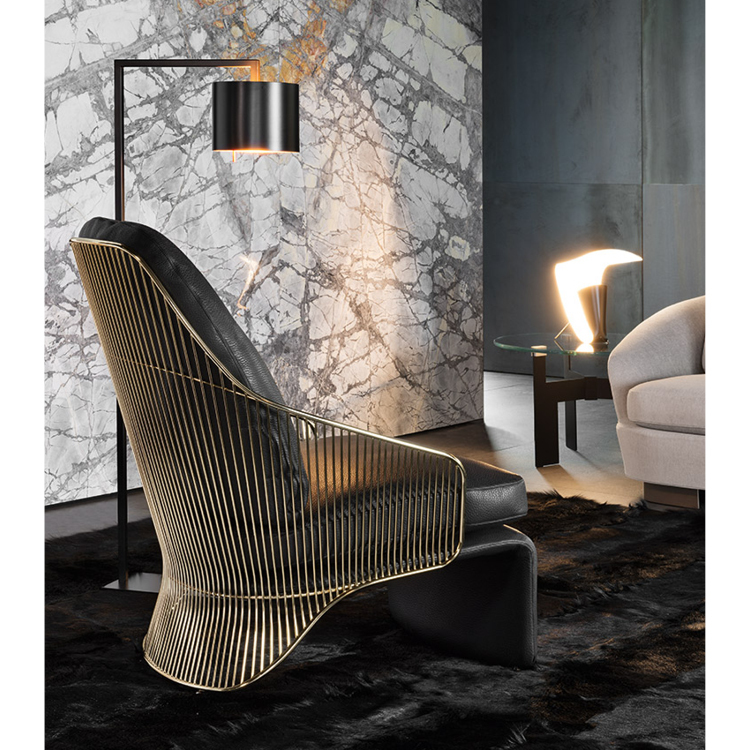 Minotti is available locally from ECC. 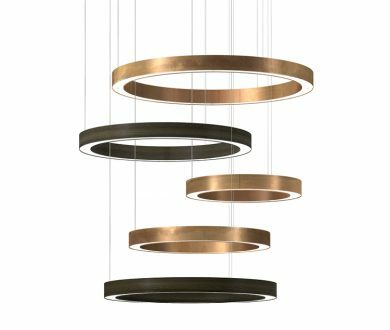 No edit of a Saturno collection would be complete without these signature pendants. 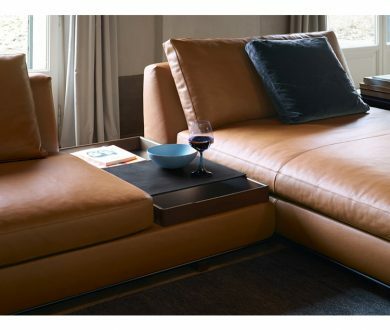 An incredible way to incorporate design, elegance and functionality into the home. 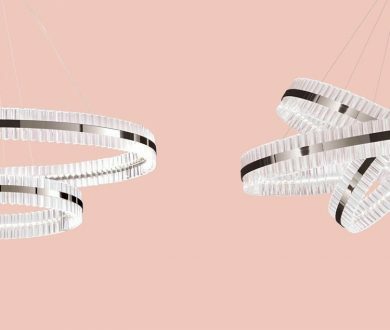 This collection of lighting objects play on the illusion of movement, the perception of reality and fantasy. 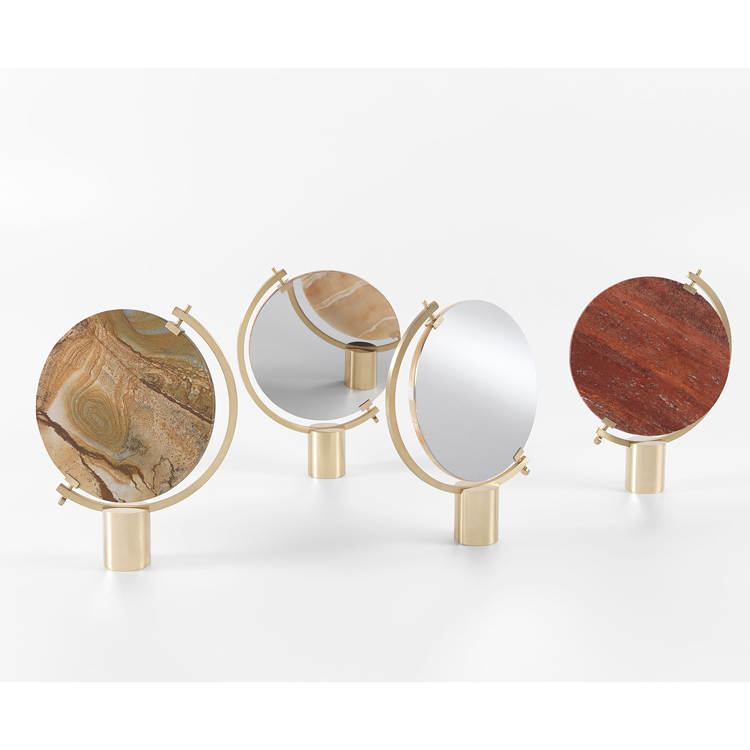 Sure to elevate all interiors and a welcome addition to any table, the mirrors feature diverse marble finishes, polished brass bases and matte brass frames. 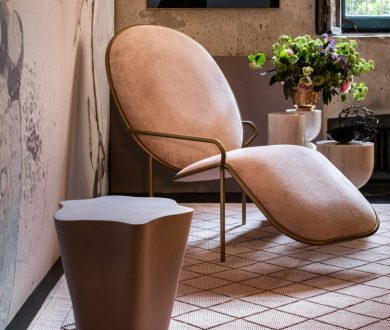 A new take on a classic piece, this armchair is generous in size and soft in production — a perfect addition for your home and sure to endure through the years with its timeless charm. Porro is available locally at Studio Italia. 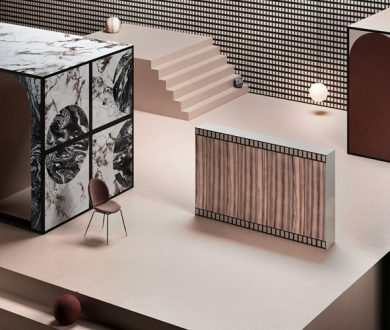 This immersive installation is the brainchild of London-based design studio De Allegri and Fogale in collaboration with stone experts Casone. 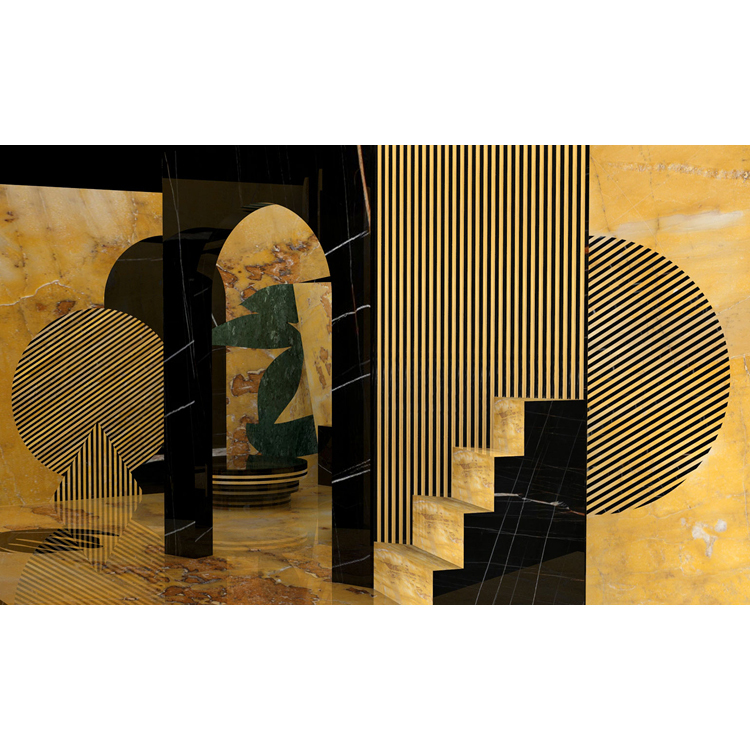 Made of Yellow Siena marble and Noir Doré stone, the space is filled with stairs, boulders and other objects that visitors weave their way through as they try to decipher the symbolic work. 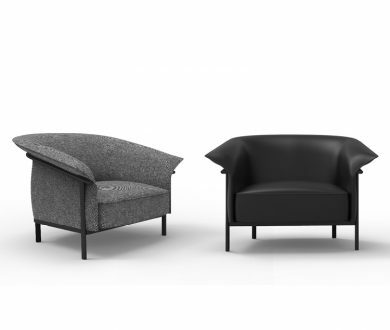 Freestanding and versatile, the Soft Props modular seating elements are in two sizes that can be combined in various arrangements. 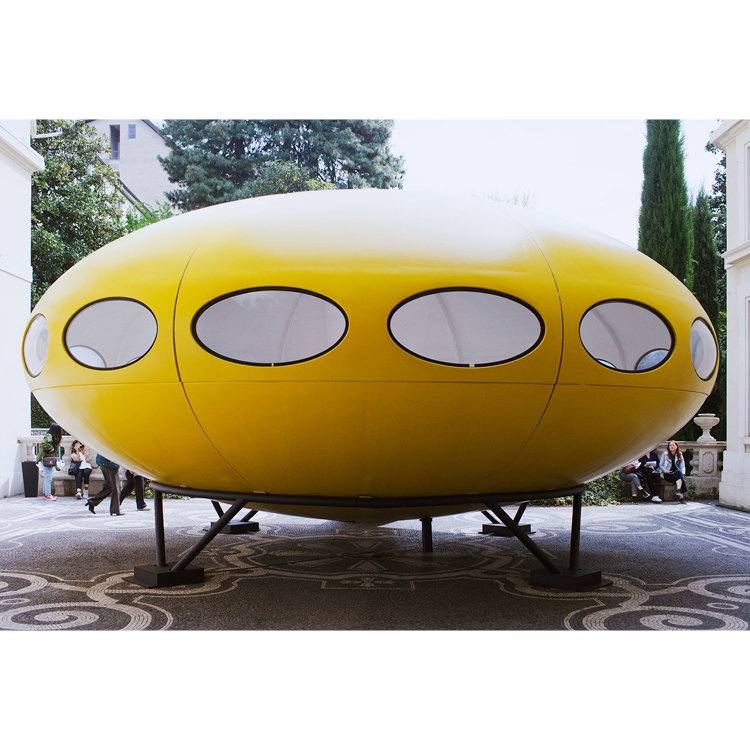 Grcic wanted to make a piece of furniture that was more abstract and spatial but didn’t compromise on comfort. 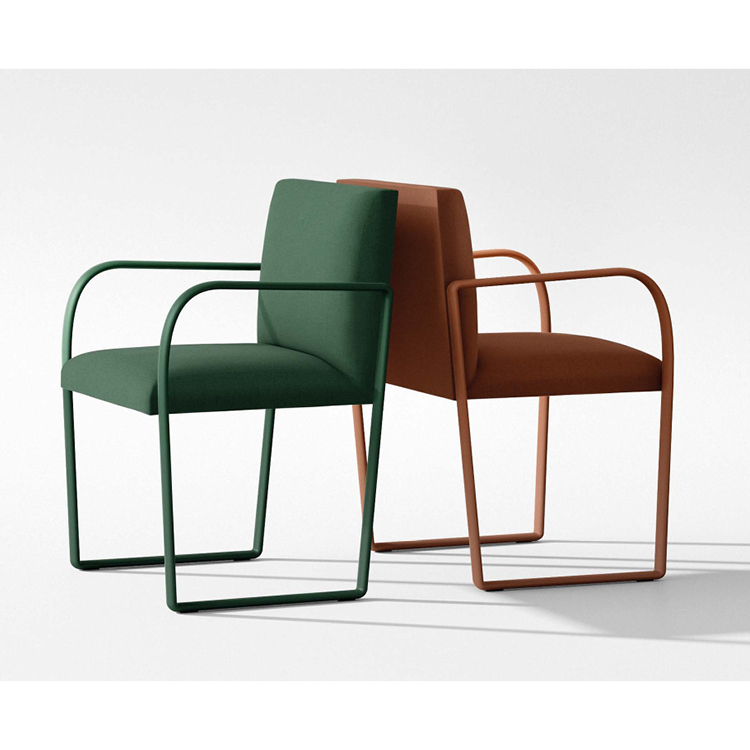 Cassina is available locally at Matisse. 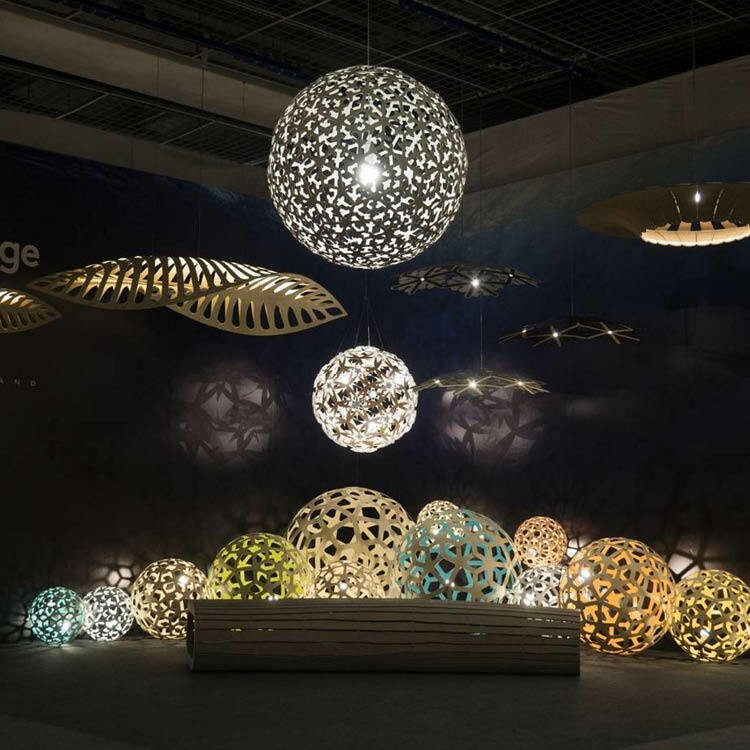 For this year’s Euroluce exhibition, Trubridge created an immersive mini installation based on his latest commission ‘Nightlights’. 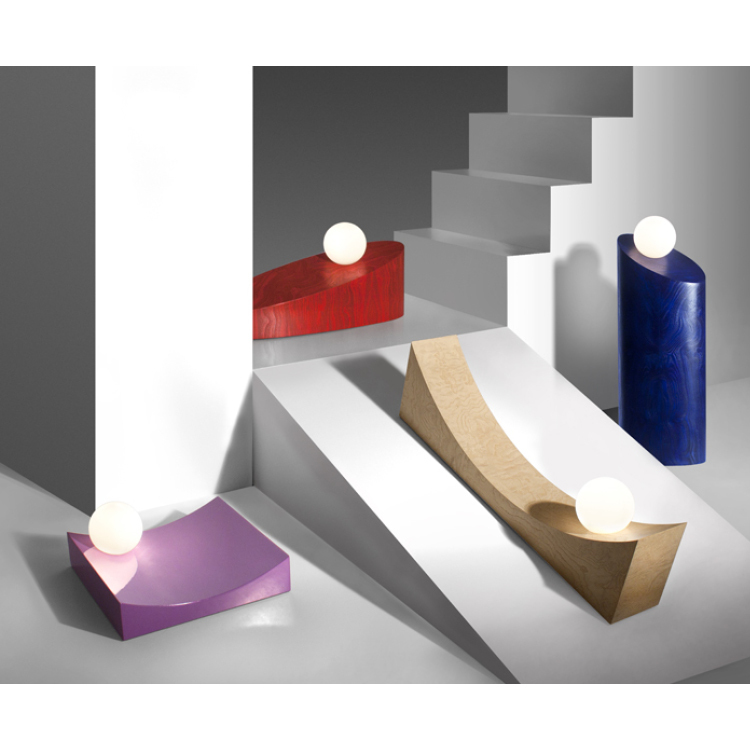 Since designing the lights, new kitset versions have been designed for use outdoors. 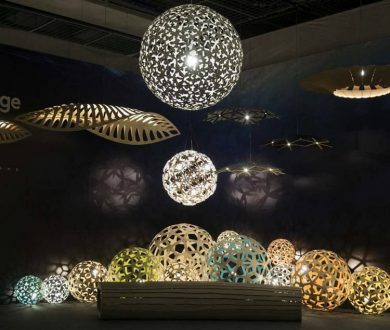 Euroluce is also the official market launch of Navicula, which recently won gold at the Best Awards, NZ. 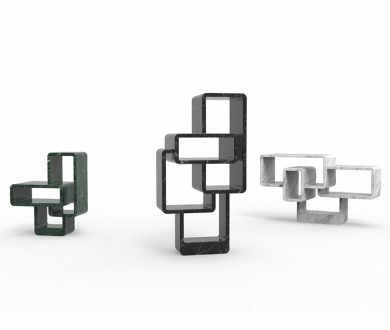 David Trubridge is available locally at Backhouse. 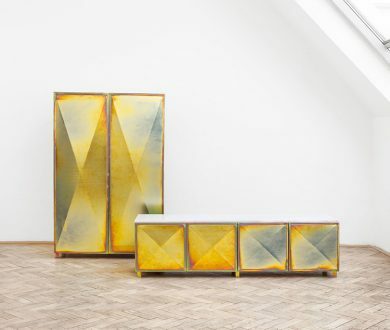 Designed by Czech duo Jan Plechac & Henry Wielgus, the main idea of this collection was to use materials which are traditionally associated with industrial design. 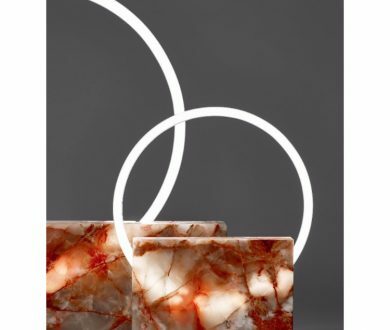 The horizontal cabinet has a marble top which combines raw details with white Carrara marble. 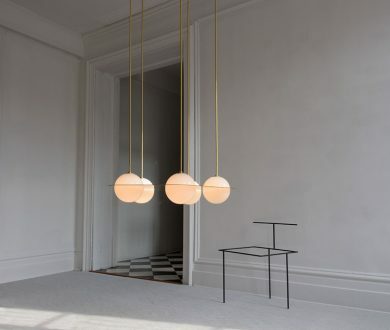 The most contemporary collection by Lambert & Fils to date, think art deco meets Bauhaus — a recurring source of inspiration for the design house — these milk globe Laurent lamps can easily inhabit any space with subtlety. 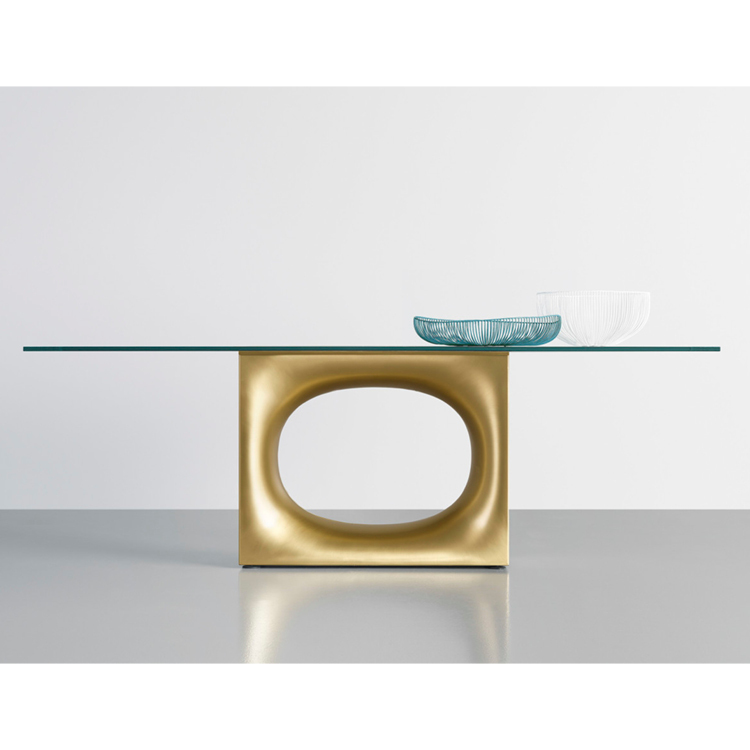 Halfie is a multi-functional coffee table designed by LIDO with a stone top divided in two halves and suspended on a thin metal structure. 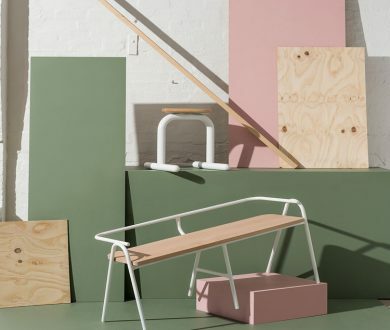 The final result is a piece of furniture with multiple purposes — a space-saver we could definitely benefit from. 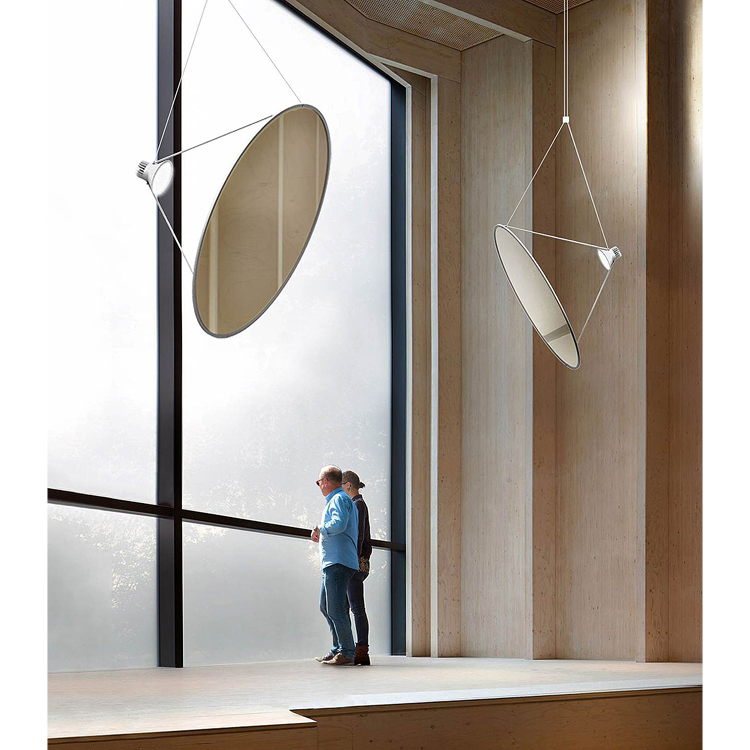 The Laterna Magica exhibition for Lasvit builds on the mutual relationship between objects, light and space. 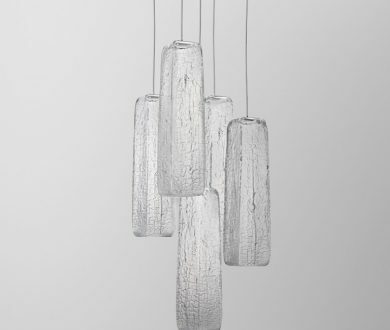 The incredible collection is about questioning the materiality of glass and natural wooden texture. 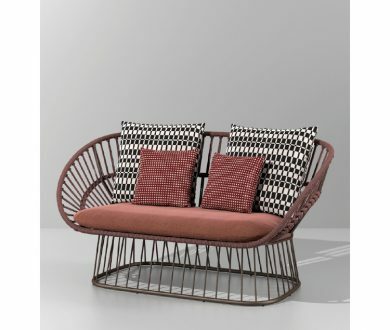 Lasvit is available locally at Matisse. 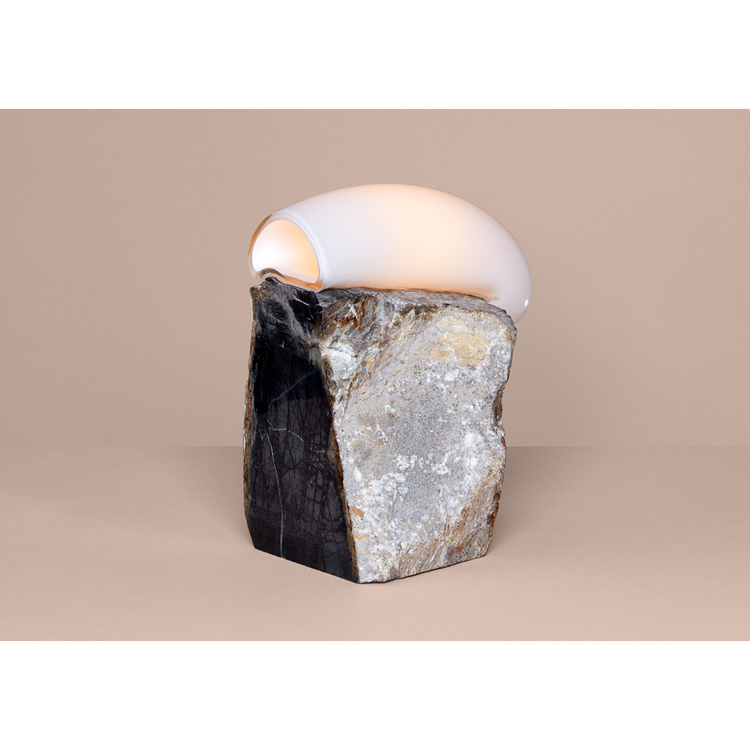 Curated by Bloc Studios for Marble Matters, the collection is a result of an investigation into the manipulation of light paths. 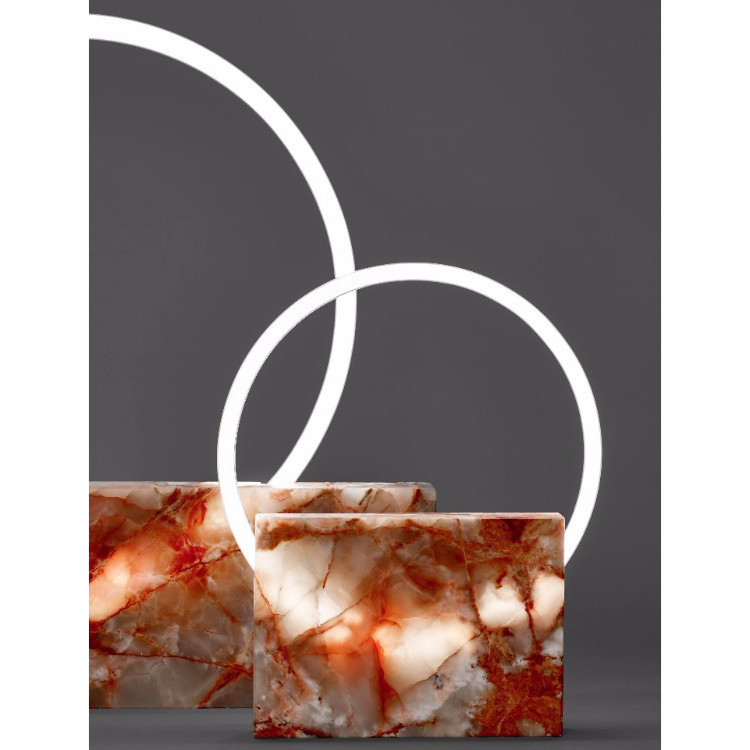 Neon light was the favoured source, and its relationship with marble has captured the world’s attention. 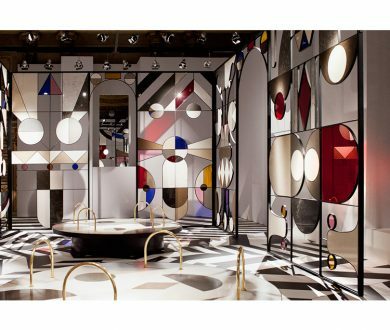 Combining stained glass with over 40 different Caesarstone materials, designer Jaime Hayon creates a striking architectural pavilion set against the neo-classical backdrop of Palazzo Serbelloni. 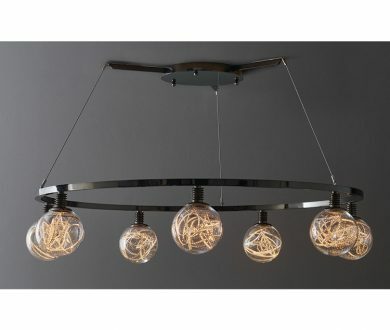 This energy saving LED lamp, suspended in various sizes has been released in a new range of impressive metal finishes. 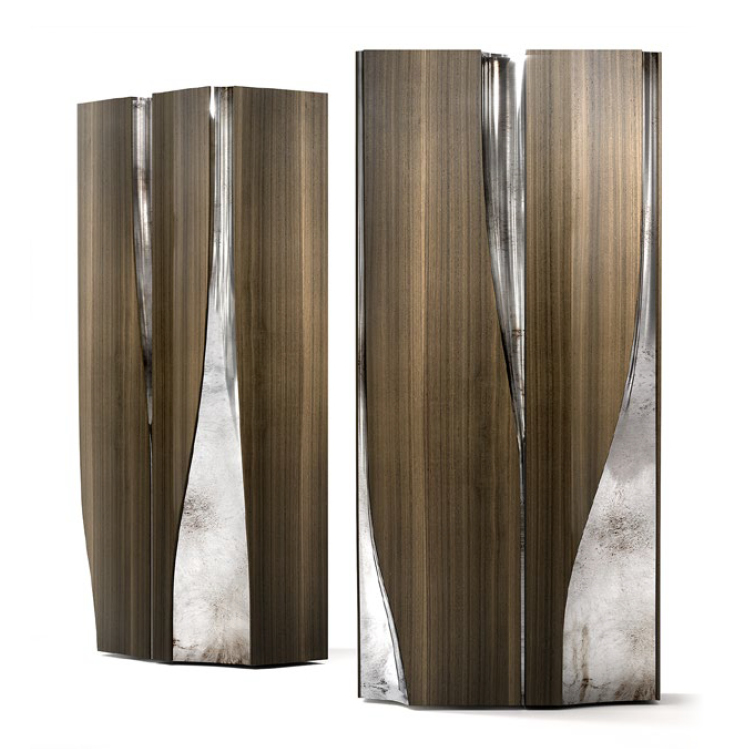 Henge is available locally at David Shaw. 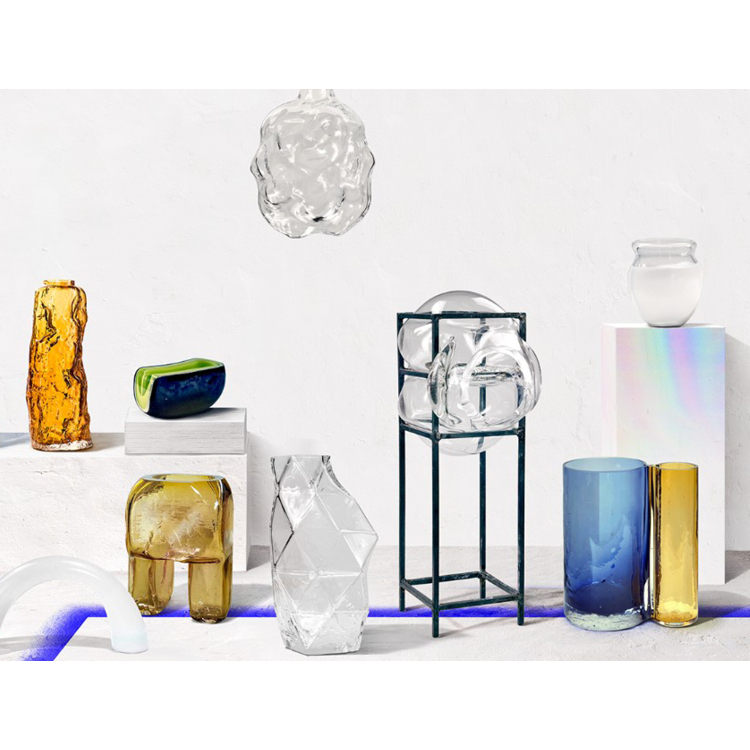 The Burly Collection is the most animated to date. 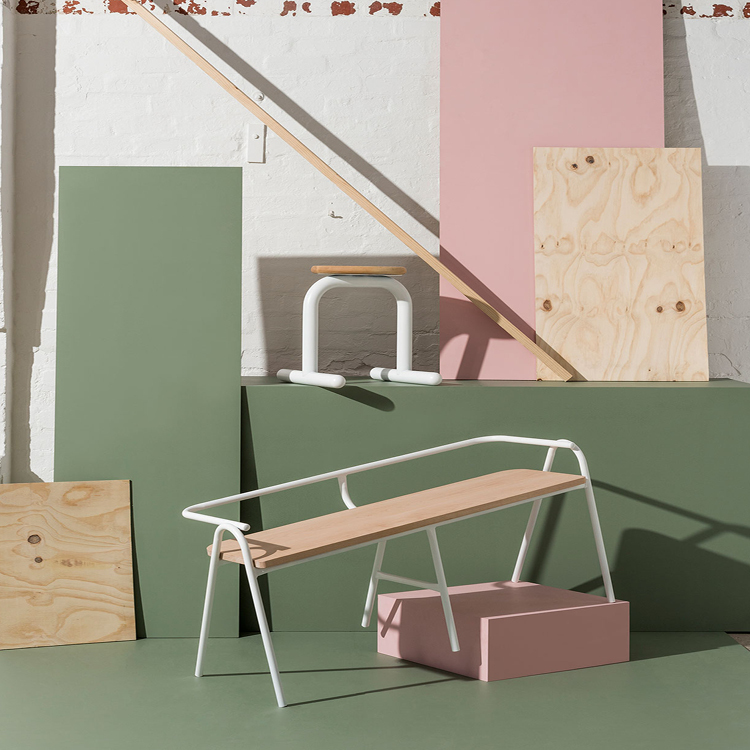 The Sir Burly stool has horizontal sled feet and a single bent tube forming the vertical support, it is complemented by a single piece of round solid timber as the seat. 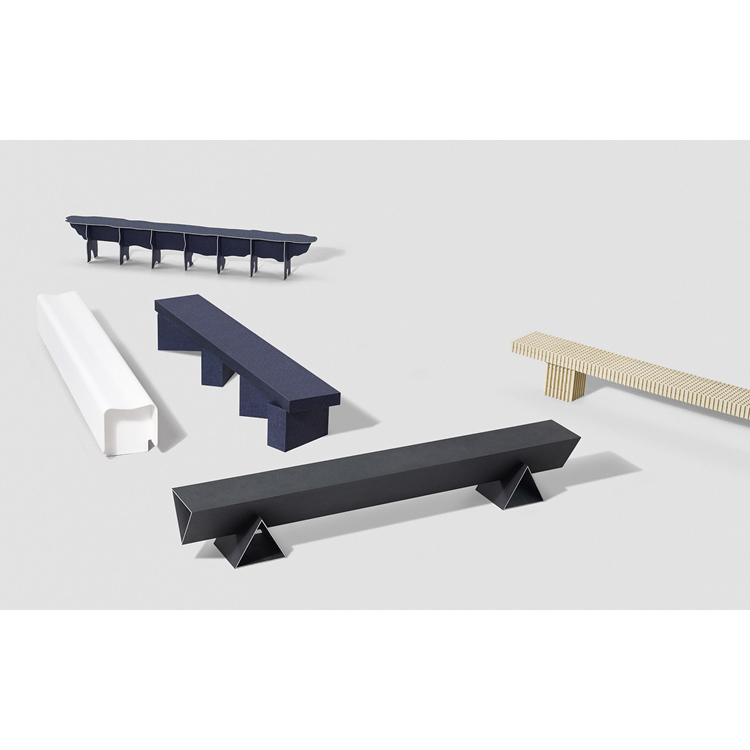 Designed with various functional needs in mind, and capable of slotting into any home setting, these modules are the perfect practical movable containers. 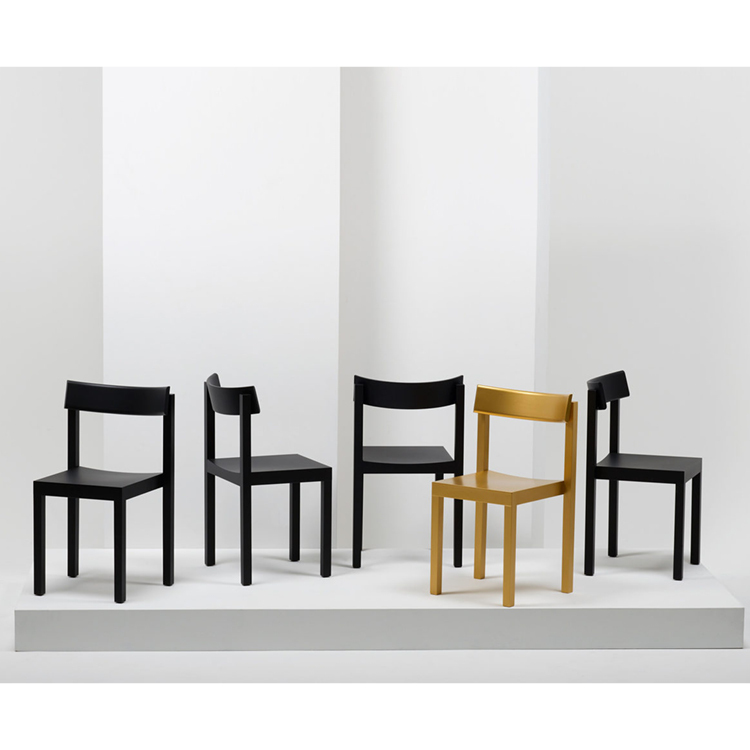 Kartell is available locally at Backhouse. 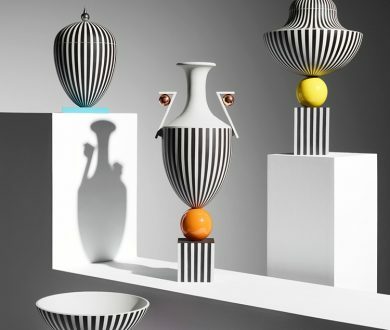 A capsule collection of limited edition vases and bowls inspired by Wedgwood’s 250-year heritage. 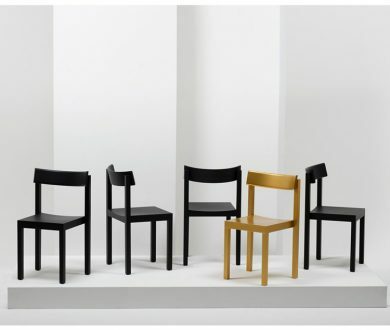 The collaboration celebrates British craftsmanship and innovation, taking cues from iconic historical pieces. 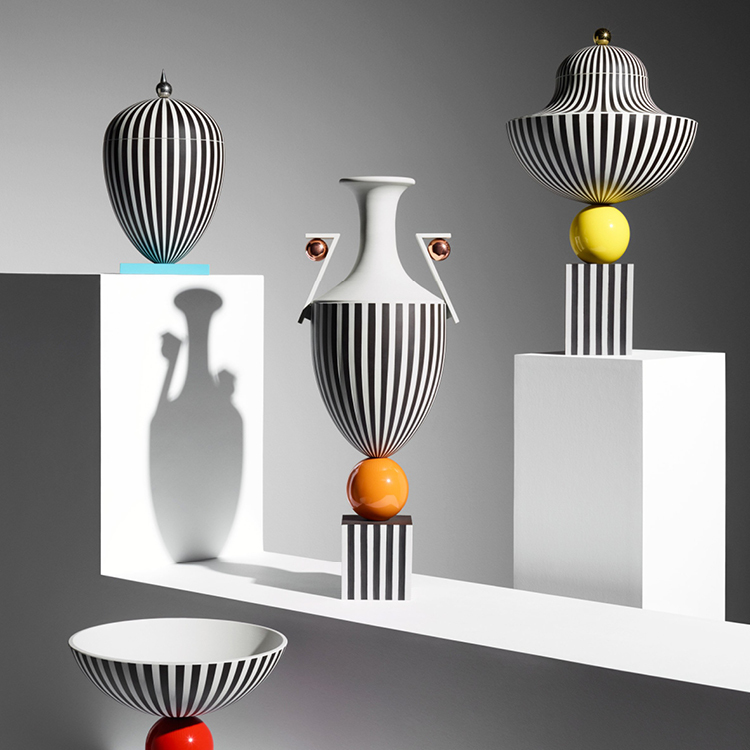 Wedgwood available locally at ECC. The new collection of travel-inspired pieces celebrate the encounter between savoir-faire and design. 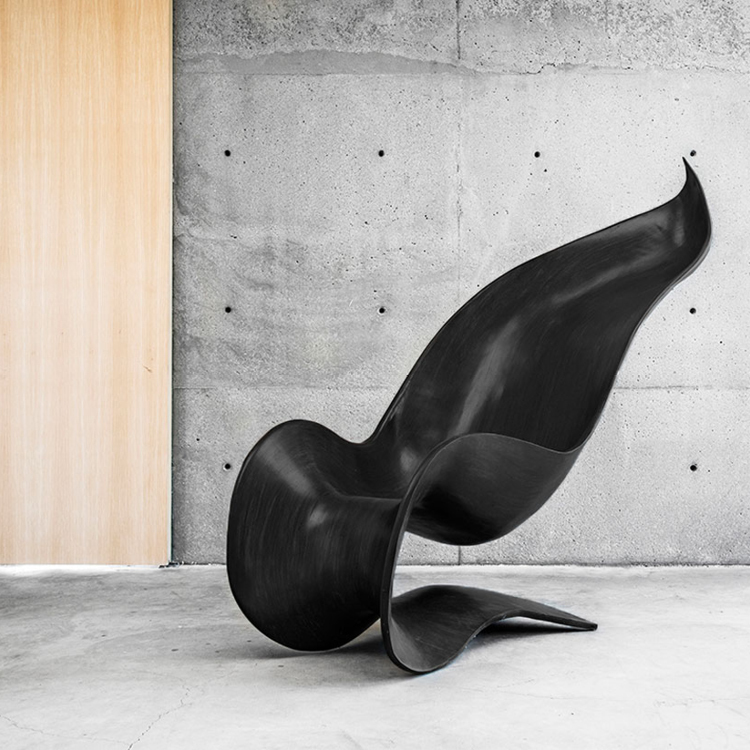 Known for innovative designs, mixing floral and organic shapes with functionality, Gulla Jonsdottir’s Petal chair is a work of art in itself. 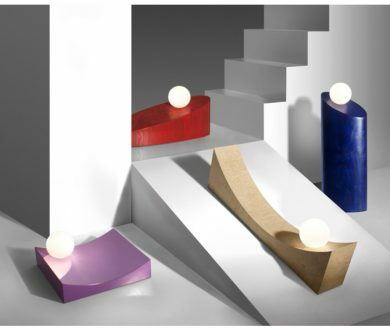 Lighting is subject to continuous innovation both from a technical and aesthetic point of view. 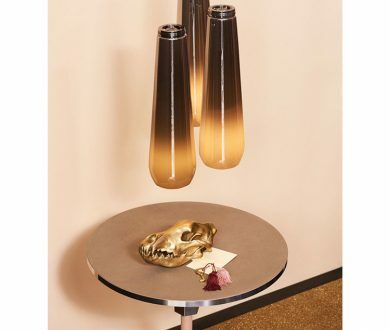 This lamp is a result of this modernisation, made of glossy black chrome-plated metal and a sphere of Murano glass. 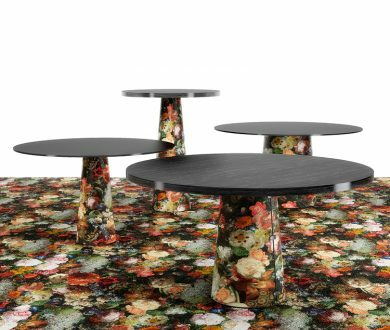 Promemoria is available locally at Cavit & Co. 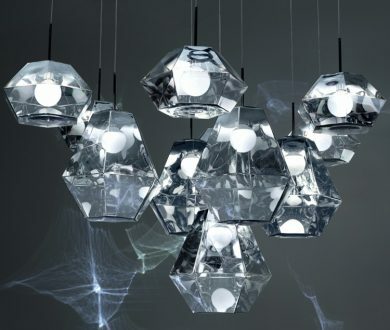 The New Zealand design house is releasing its seventh collection in an exhibition, entitled Dark Matter, featuring bold and significant lighting innovations. 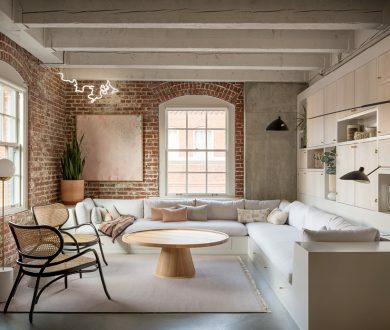 Resident is available locally at Simon James. 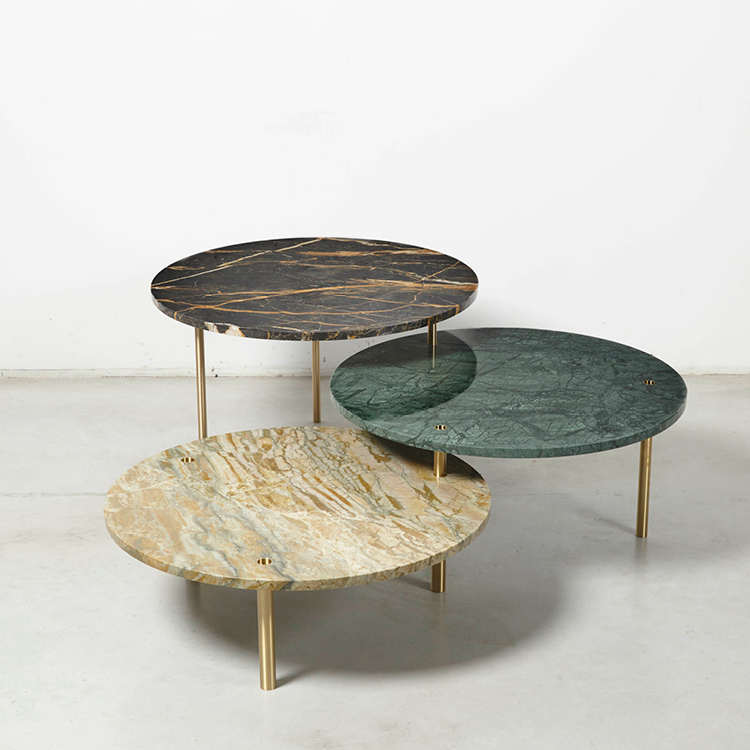 Adapted to any situation, these three marble tables feature brass legs with the option of sliding the higher table over top of the lower ones, allowing the structure to be rotated as desired. 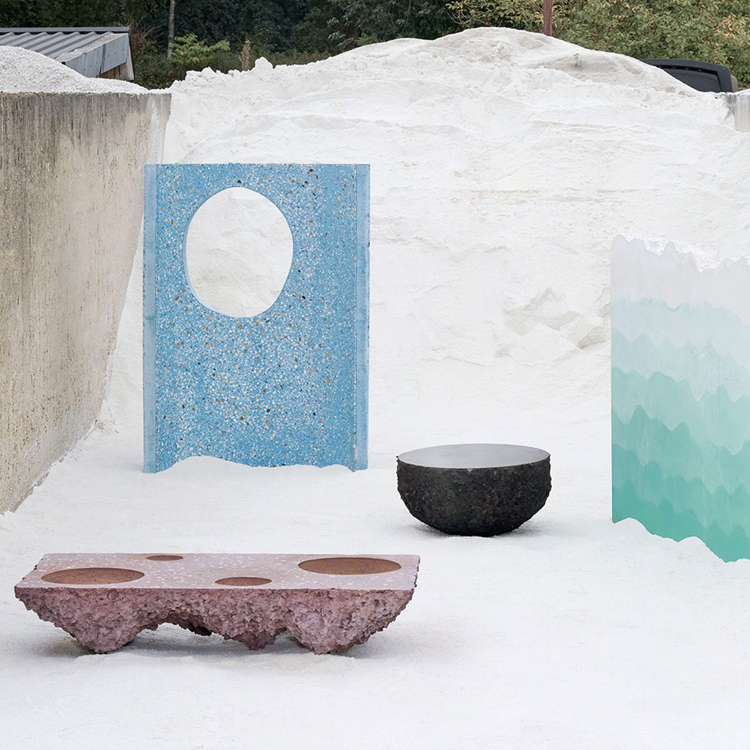 A collection of concrete objects inspired by traditional Persian rugs, which expose the lively and bright character of a material that has, in the building industries, progressively lost its expressive potential. 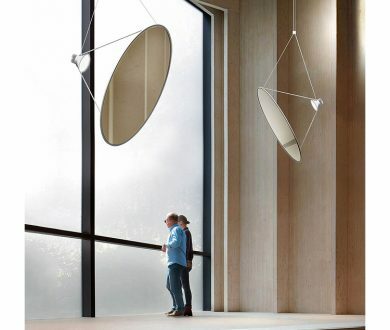 Available in pendant or surface variations – the latter designed for the wall or ceiling — the light has a mirror finish that appears opaque when switched off, and when lit up, reveals the bulb inside casting a kaleidoscopic reflection. 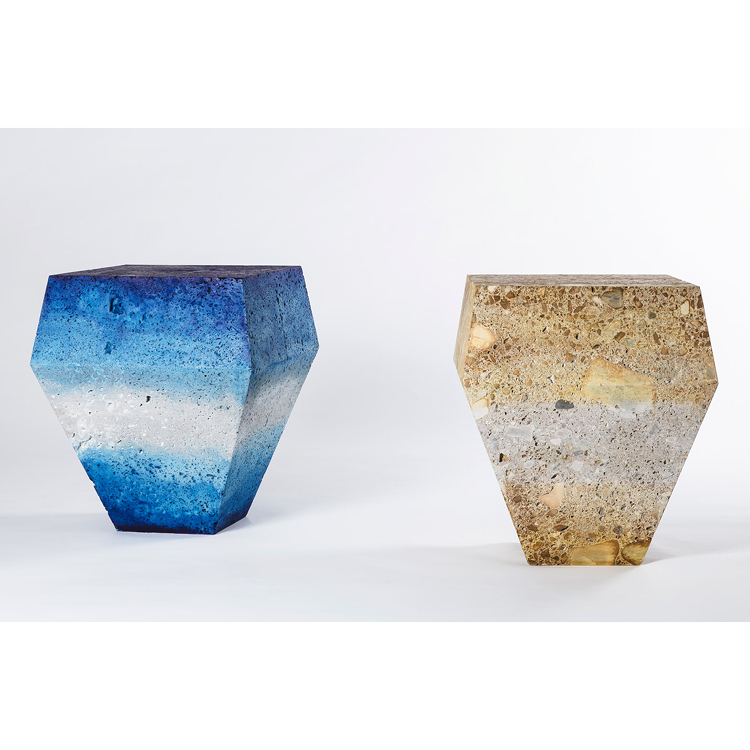 Tom Dixon is available locally at ECC. 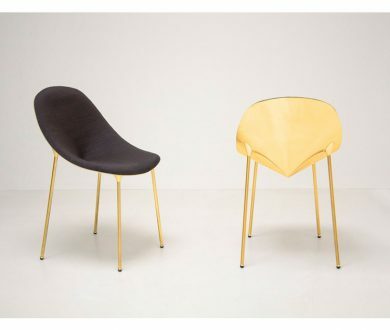 Designed by London-based design studio Analogia and titled ‘Overlay’, this refined and minimalist design is one we are currently coveting. 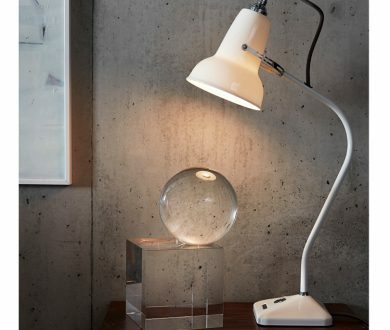 Pegged as ‘the ideal writing lamp’ for good reason; when you lift the writing instrument from the leather base, the lamp switches on and vice versa. 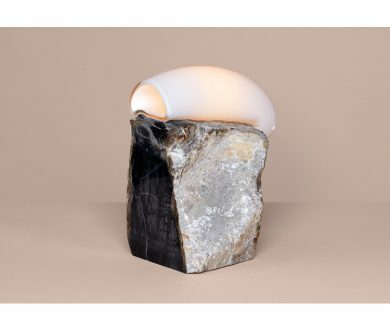 Slamp is available locally at Matisse. 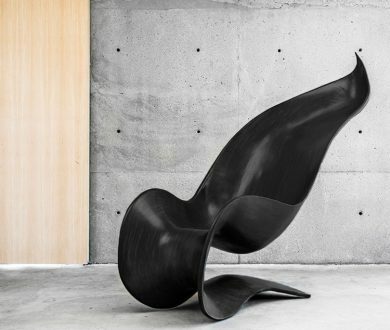 Best known for his unique technique of shaping metal, this lustrous chair is no different — the perfect addition to any design aficionado’s home. 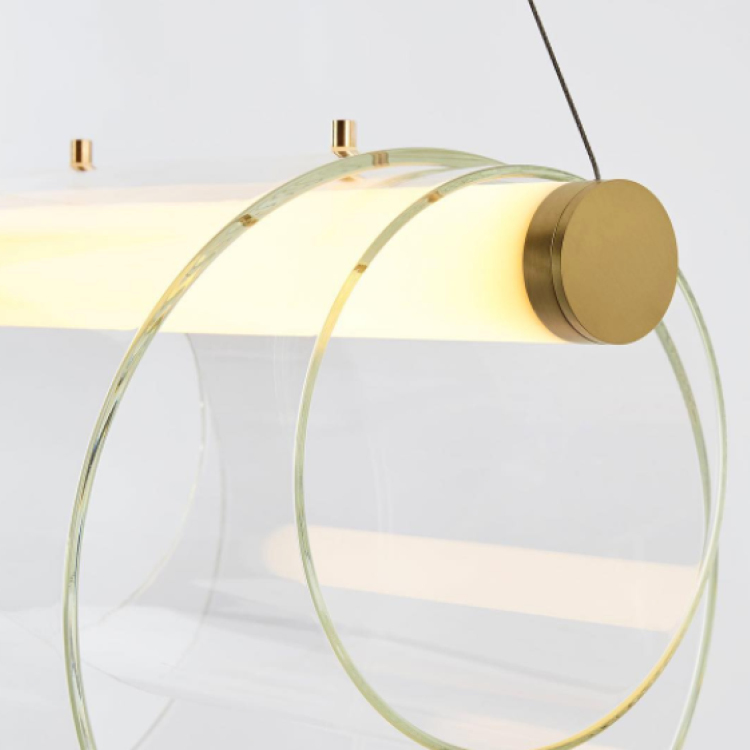 Halfway between design and art, this evocative lighting solution offers visual impact. 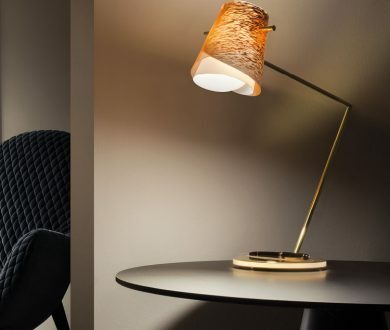 Rybakken set out to design a lamp with surprising technological complexity, physical presence and very little material. 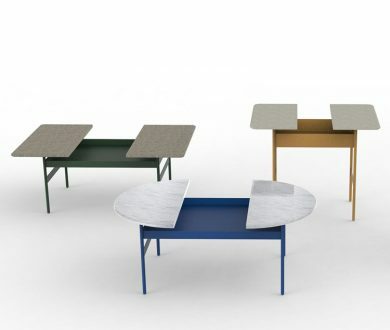 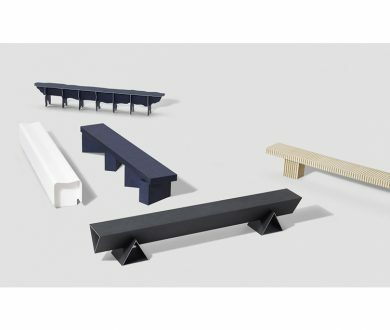 As a part of a growing sustainability initiative, Danish materials company Really and Kvadrat recruited designer and materials enthusiast Lamb to create these benches which look more like foam core, but are actually structurally sound. 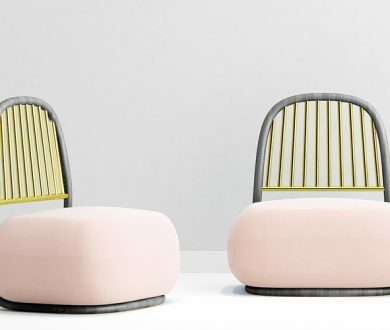 The dreamiest chair we have ever seen and understandably so given that it’s designed to promote relaxation and calmness by recreating the feeling of being on a hammock. 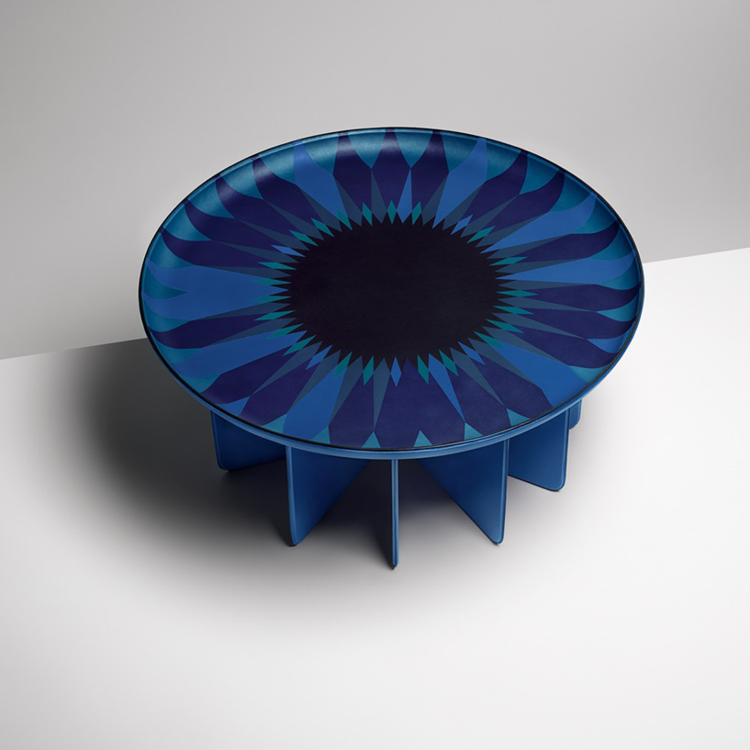 Available in 10 colours and big enough for two, prepare yourselves for some afternoon daydreaming. 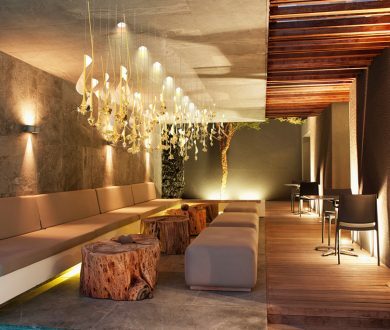 These lights look alive as they ooze over the base. 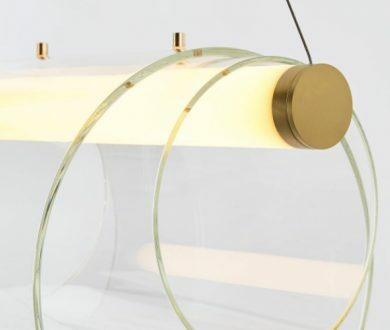 Each piece of glass is blown through a brass circle and left to solidify according to the effects of gravity, creating a unique shade each time. 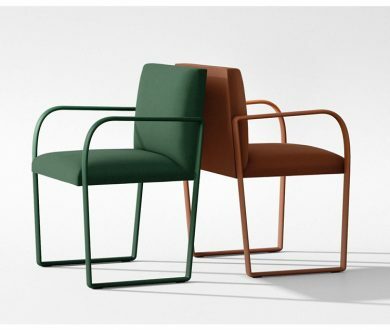 The matte steel frames are in perfect harmony with the rich and velvety of dark green and rusty red shades. 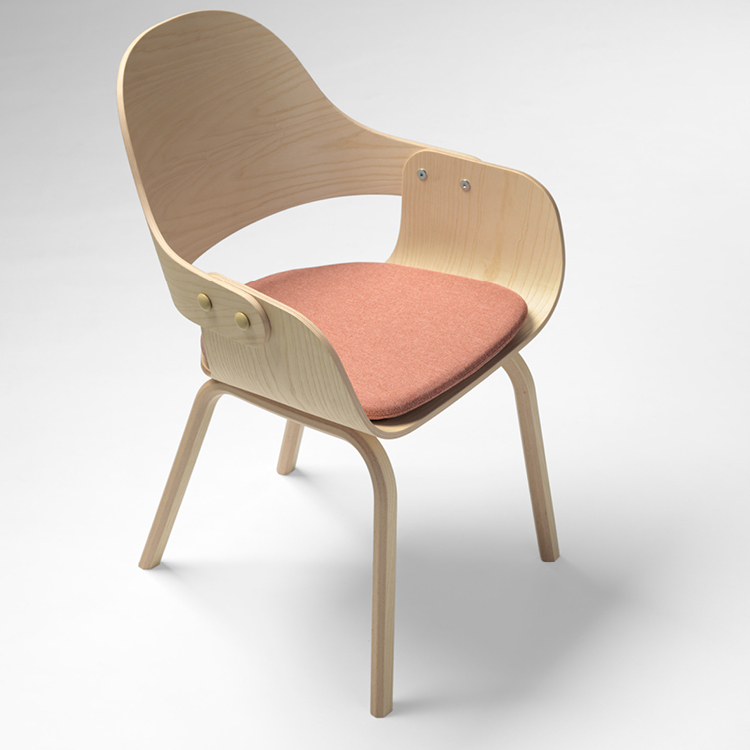 Ideal for any situation, whether it be the office, a waiting room or home. 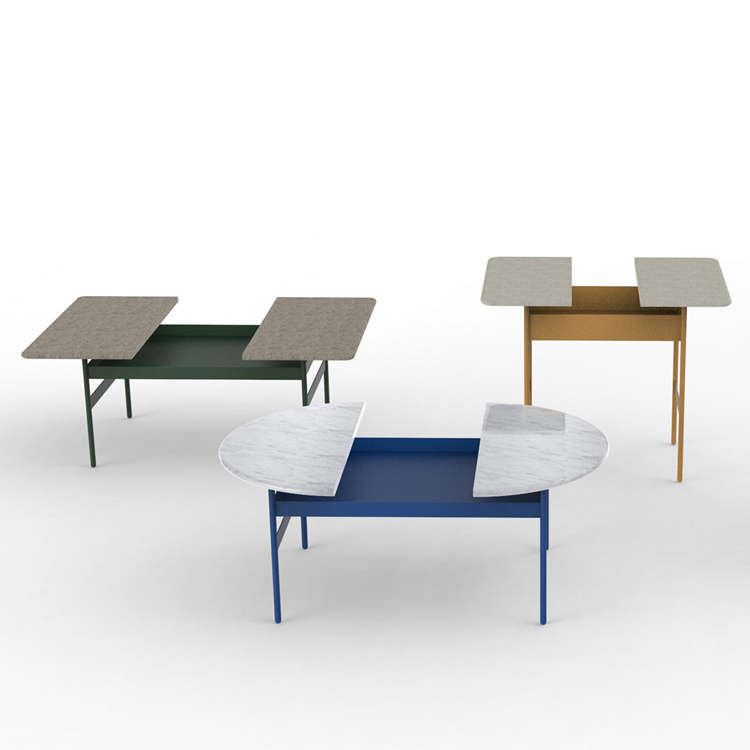 Arper is available locally at UFL. 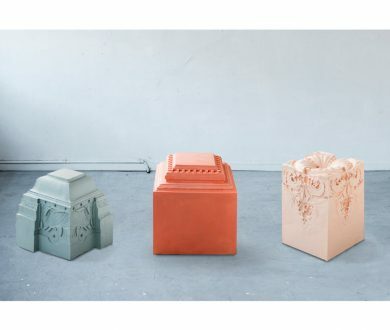 Inspired by the shapes of Brâncusi’s sculptures for these seating pieces, French designer Sophie Dries carved the stools from blocks of marble then dyed them by hand with a patented chemical recipe. 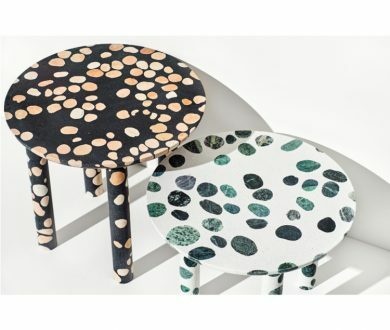 This London-born home fashion label works with rare, solid materials to make extraordinary items for everyday use. 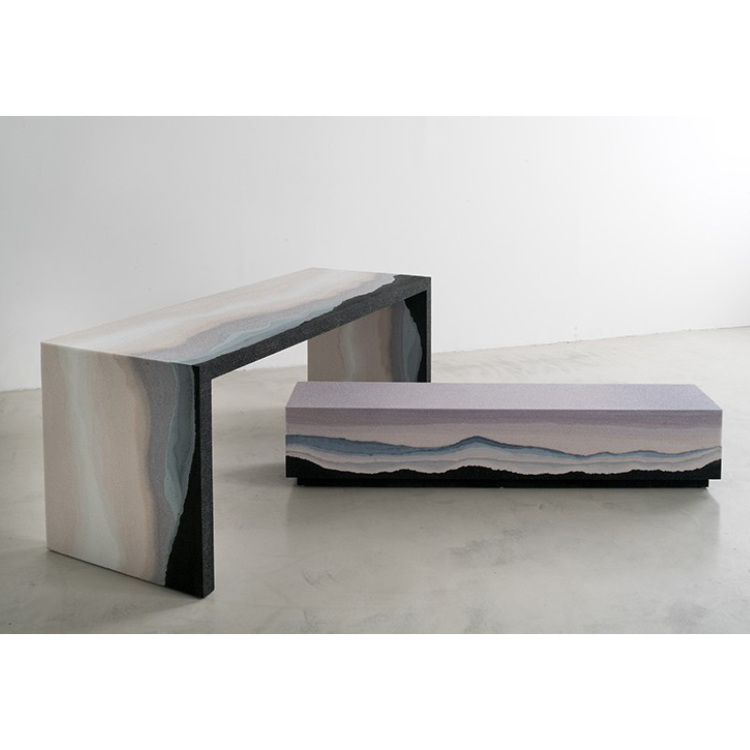 Buster + Punch is available locally at Trenzseater and ECC. 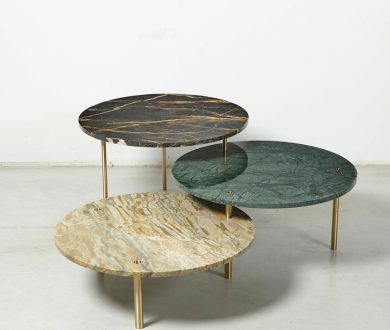 Exploring the relationship between solid wood and metal, the Trunk II is a one of a kind table. 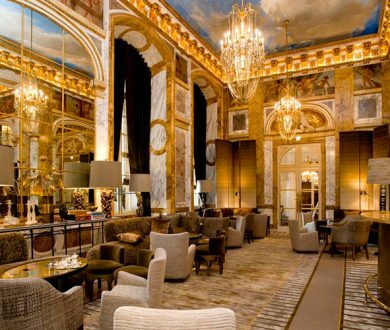 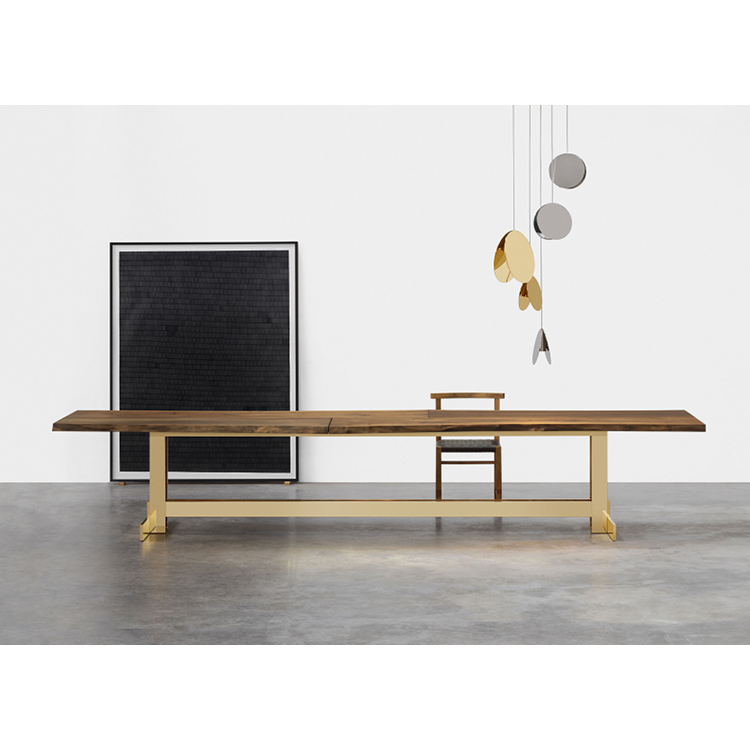 At over four metres long it’s made from a single European walnut trunk and a solid polished brass base. 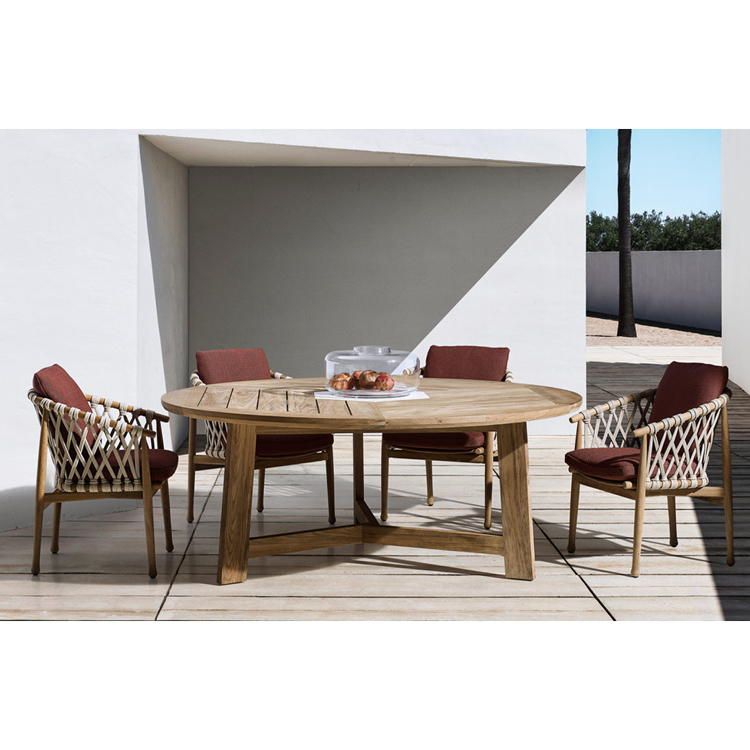 The open mesh-like weave of this daybed uses three different fibres to create a solid teak and Dedon-fibre masterpiece — exceptional outdoor living awaits. 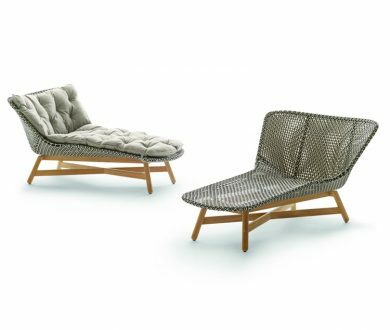 Dedon is available locally at DOMO. 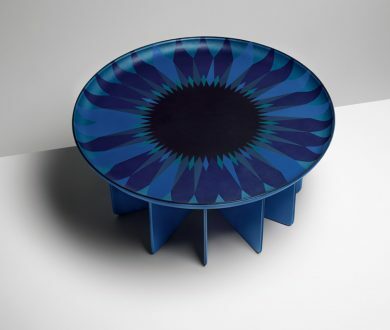 This table features an original base with an oval hole made using a process that involves a myriad of moulding and bending phases. 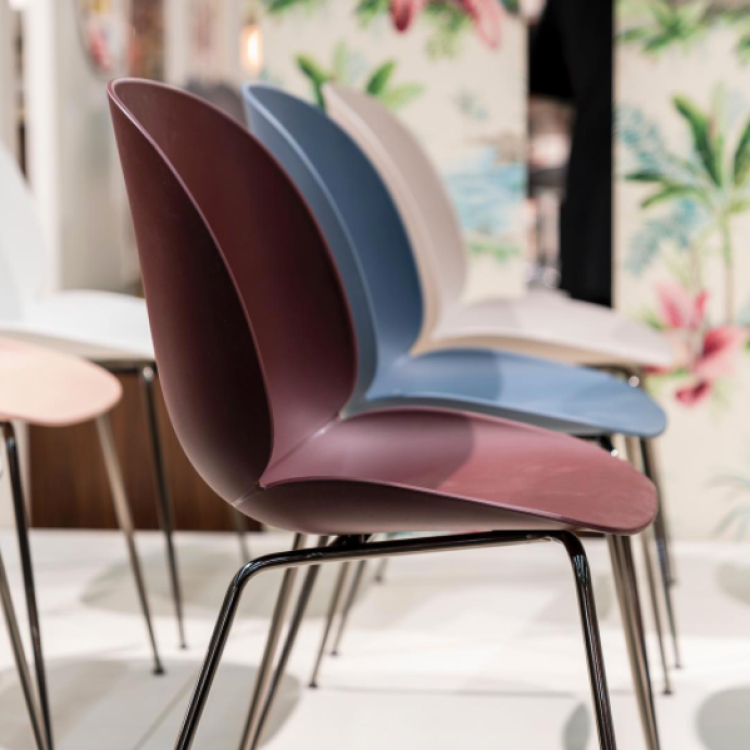 Kristalia is available locally at Matisse. 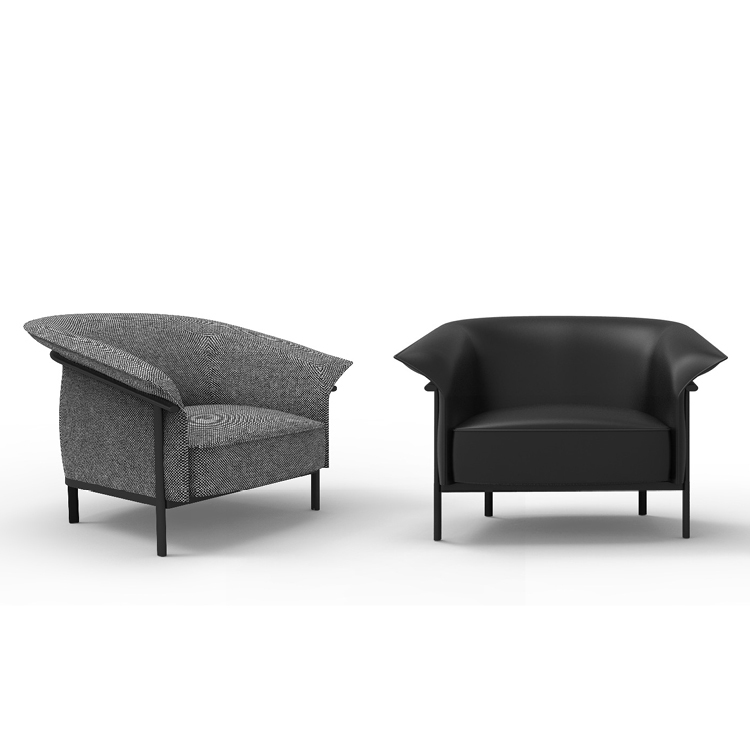 A new series made up of armchair, sofa and chair, whose lightness and design make them suitable for use both in public and residential settings. 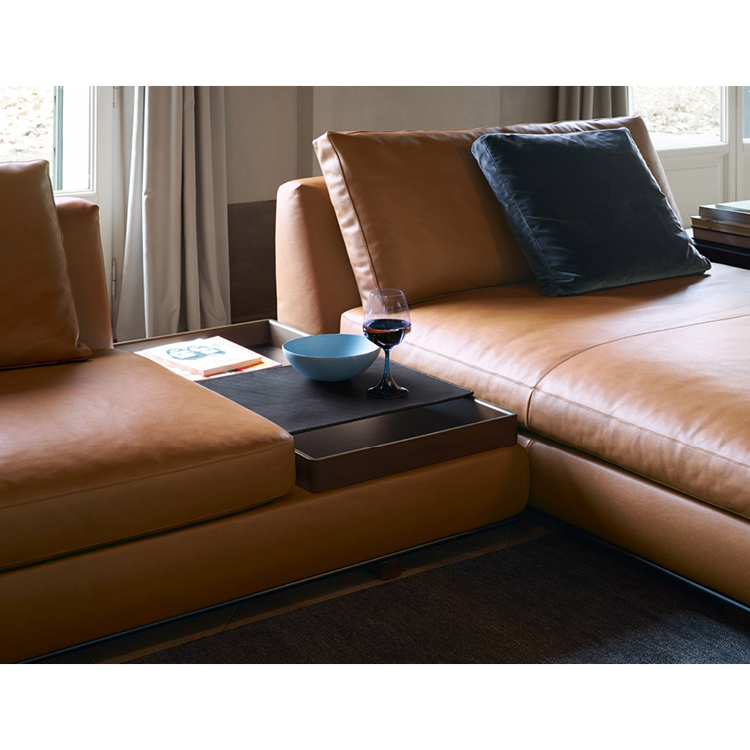 B&B Italia is available locally at Matisse. 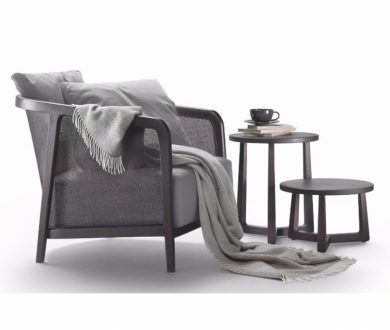 This collection exudes simplicity and elegance with the glossy smoothness of the bone china shades and the chrome plated fittings, while the grey fabric cables provide subtle textural contrast. 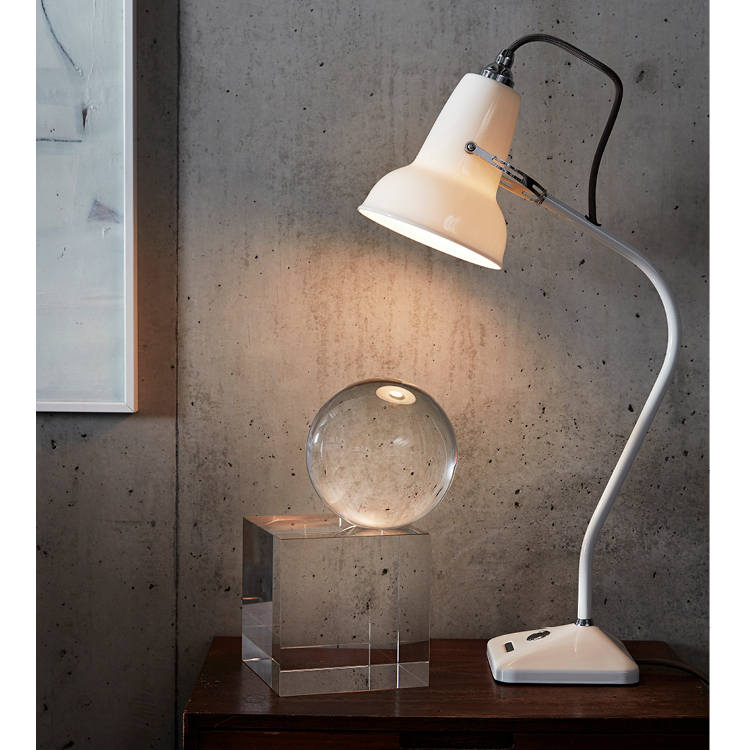 Anglepoise is available locally at Cult. 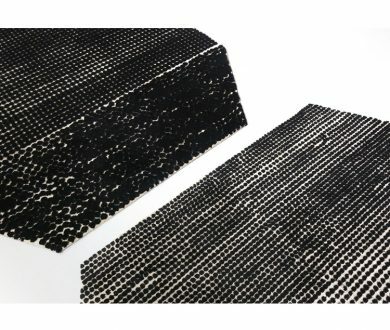 Together with the carpet makers, the brothers spent two years working on this virgin wool and cotton piece. 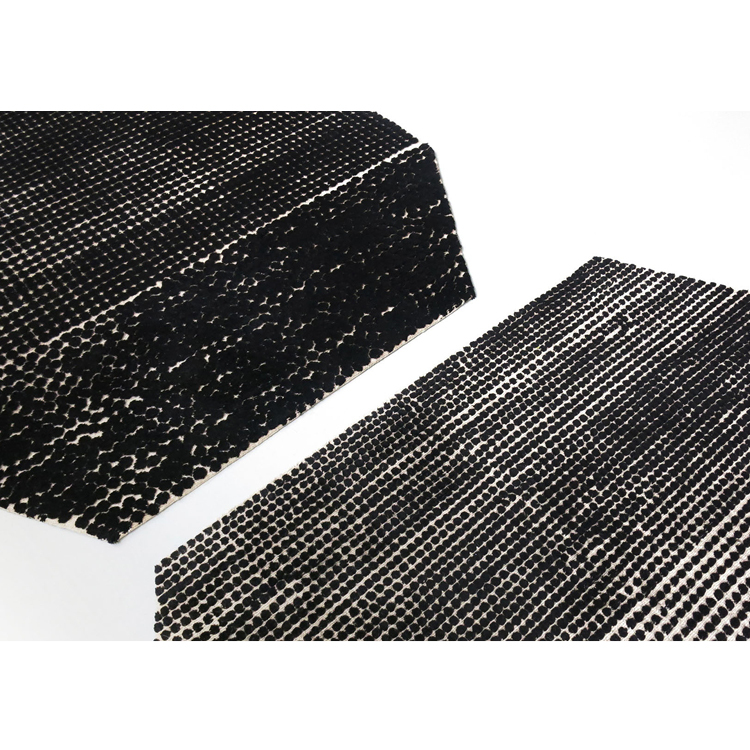 With the interweaving dots arranged in different harmonious rhythms, they have created an appealing virgin wool and cotton piece. Danskina is available locally at Simon James. 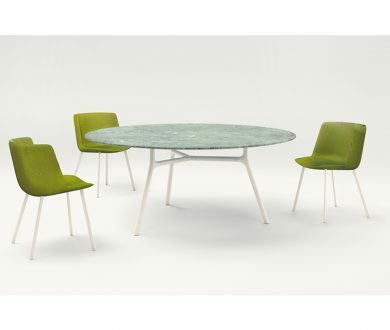 An upholstered chair with legs made of lacquered steel or heartwood and complemented by a dining table that is available with a round, a rectangular or a square top made of lacquered aluminium or marble. 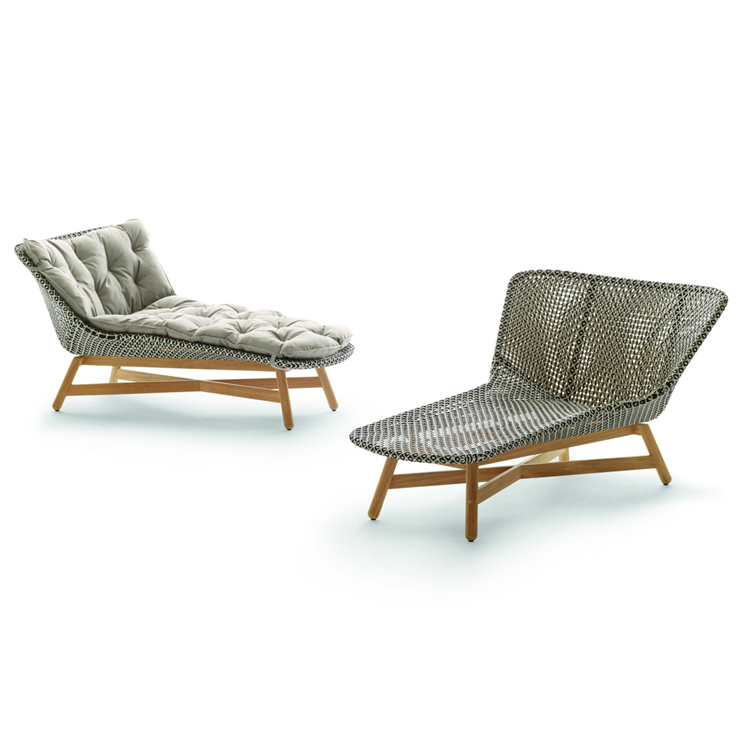 Paola Lenti is available locally at ECC. 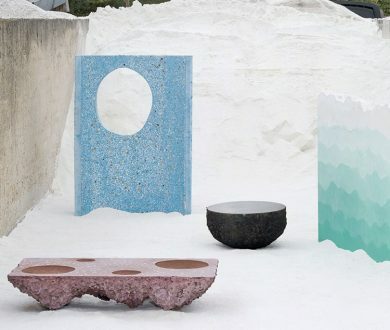 This may look like something out of The Flintstones, but we expect nothing less from the collaboration between outlandish designer Gufram and New York studio Snarkitecture. 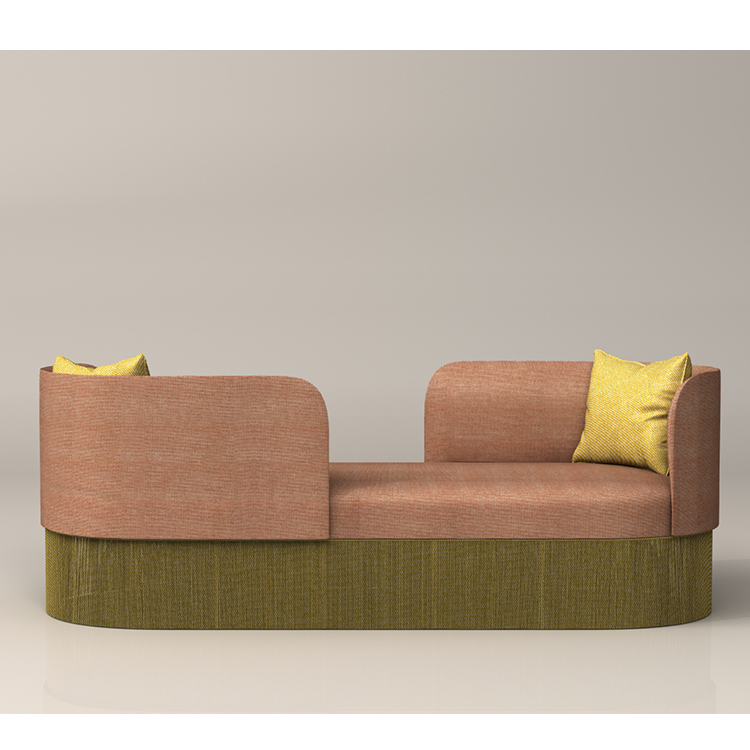 Gufram is available locally at Design 55. 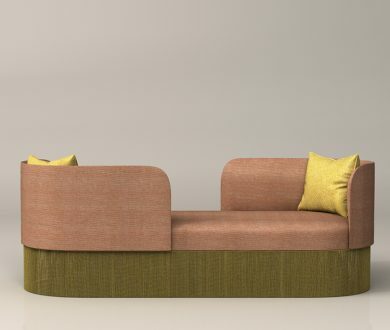 Josephine is a tête-à-tête sofa that was originally designed for corporate environments, but we think it would also be a perfect inclusion for the home. 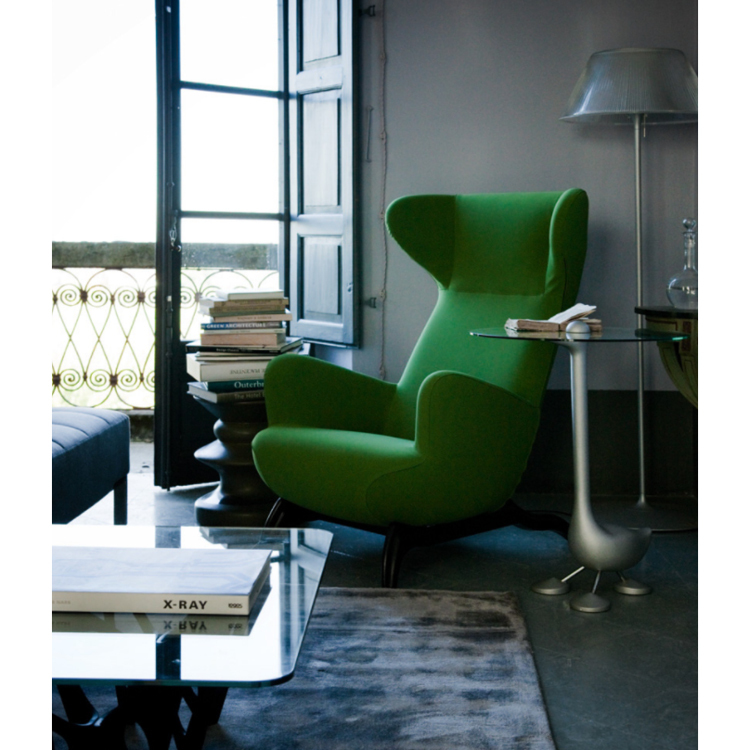 Moroso is available locally at Matisse. 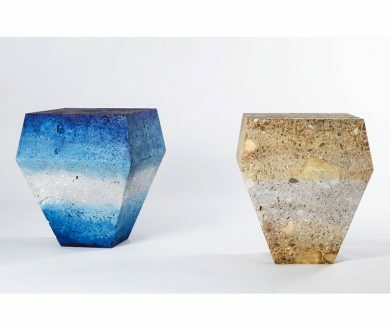 The collaboration between Cito and Israeli designer Arik Levy has resulted in a celebration of mineral foundations that come to life from a single stone structure. 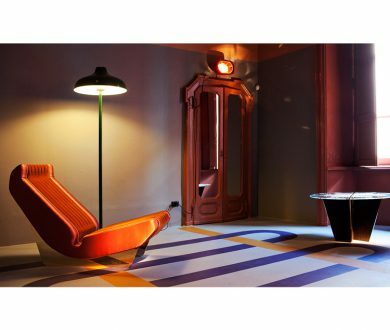 Entitled Time Machine, the show is a unique and immersive installation set inside a derelict vault — previously never opened to the public — in the historic Milano Centrale train station. 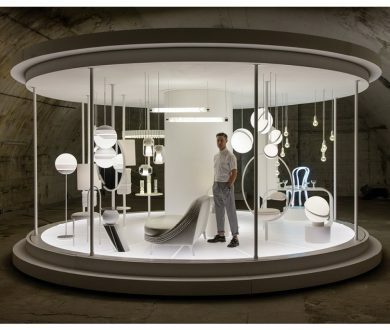 The installation will feature an edit of furniture, lighting and accessories from Lee Broom’s ten-year career. 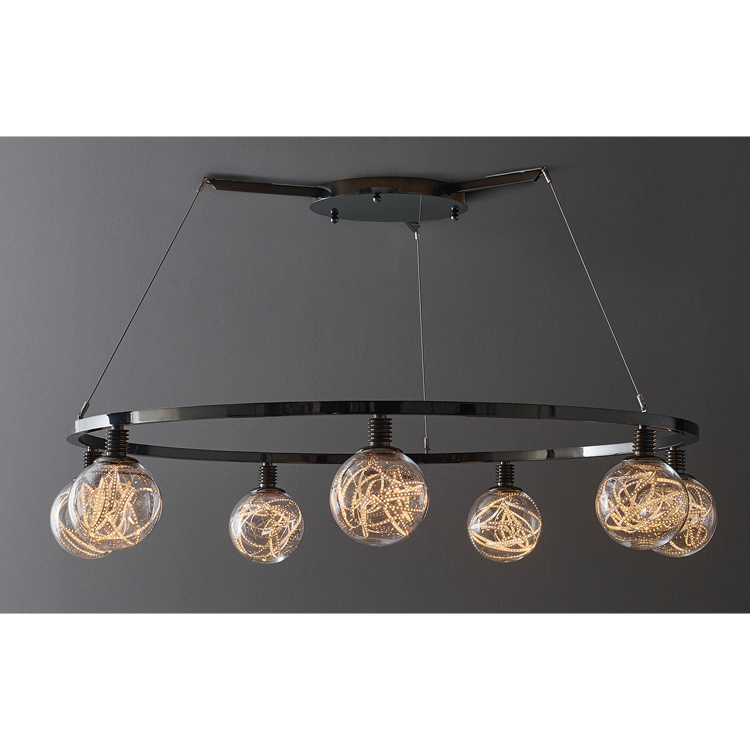 Lee Broom is available locally at ECC. 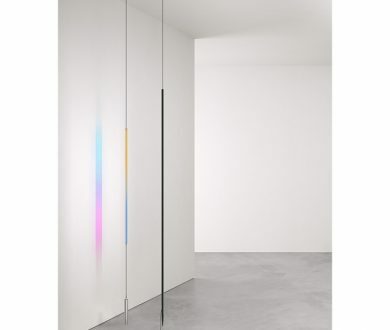 Side-L is a cupboard with a clean yet functional design that can be assembled with low energy consumption LEDs that turn on only when the doors are opened. 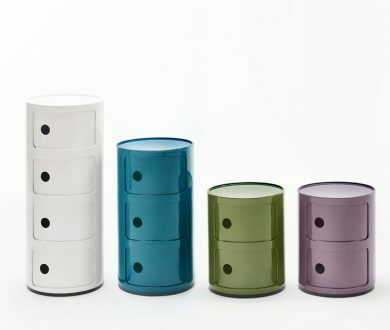 With various styles and sizes available, it’s the perfect addition to any room in your room. 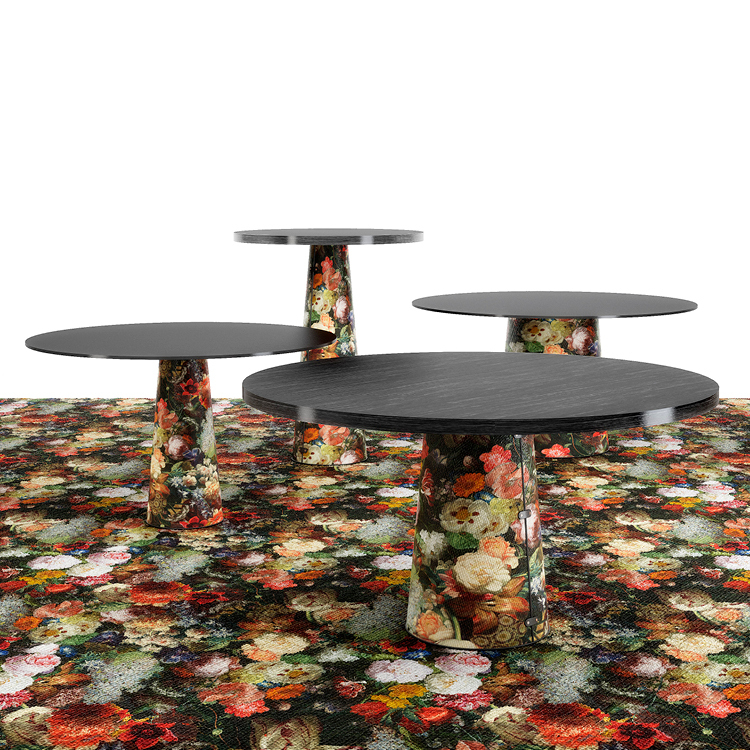 With an endless number of composition possibilities this table can fit into any space, whether it be in the home or at the office. 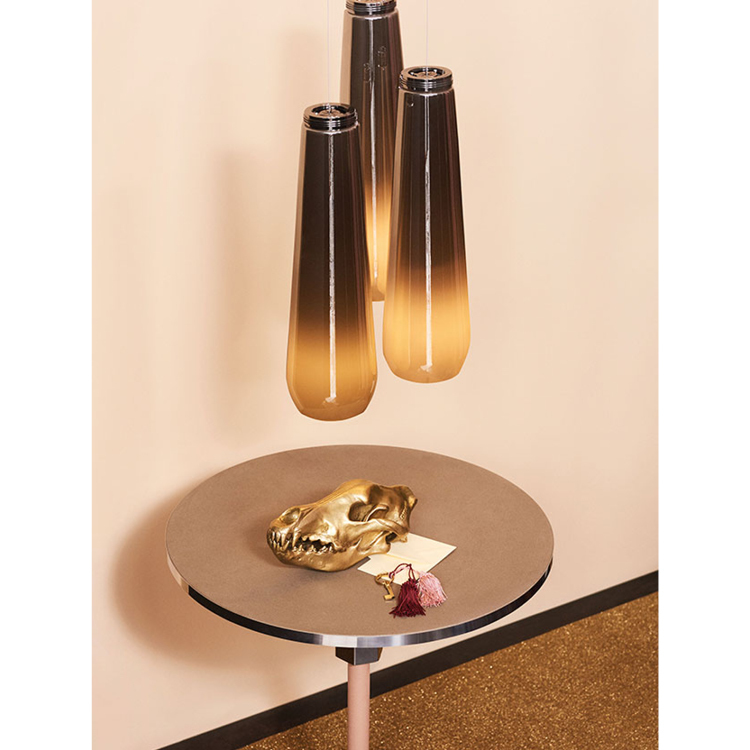 Moooi is available locally at ECC. 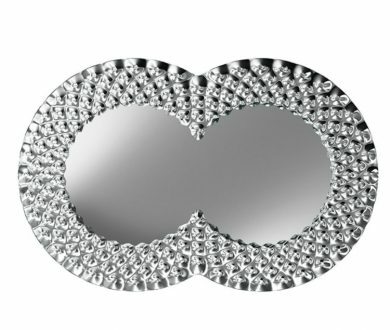 The eye-catching mirror is a statement piece of enlarged proportions. 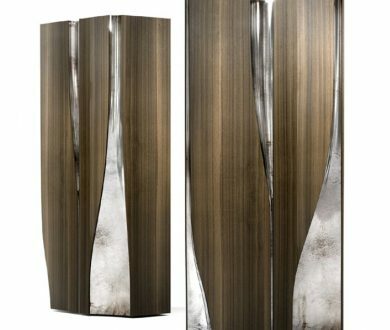 Its iconic shape is not only memorable but also gives distinctive character and personality to any living environment. 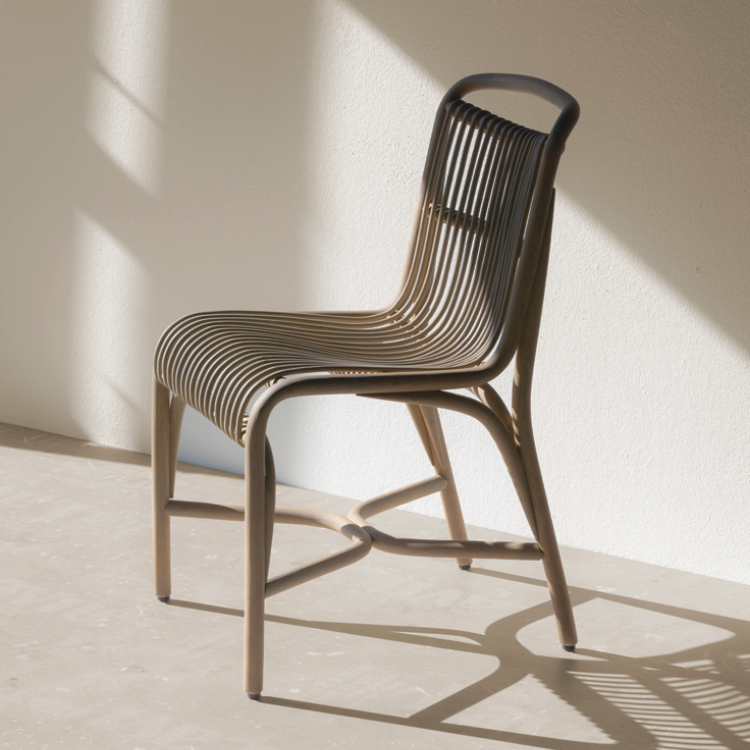 This high backed armchair is woven into wooden and bamboo patterns resulting in a piece of furniture that has a majestic spatial presence. 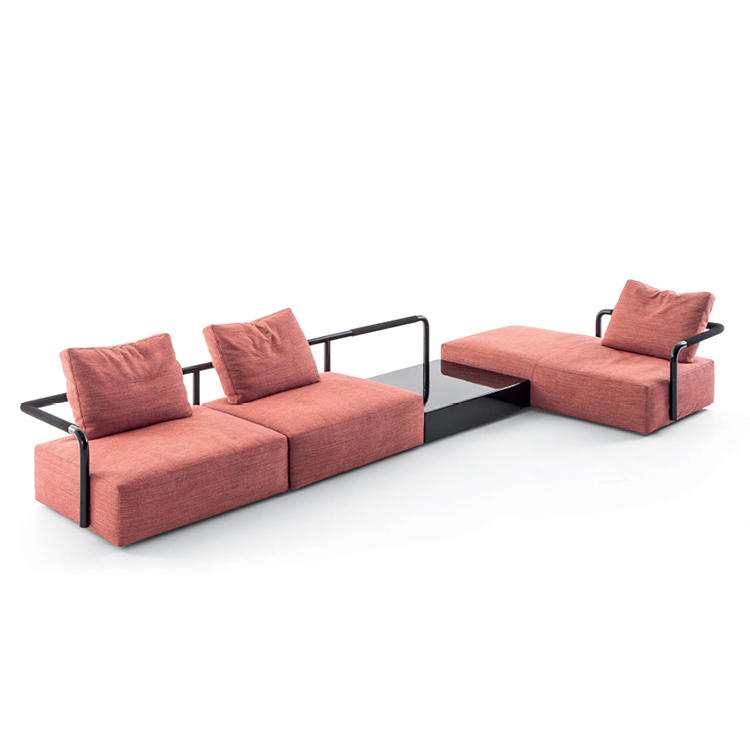 Kettal is available locally at Studio Italia. 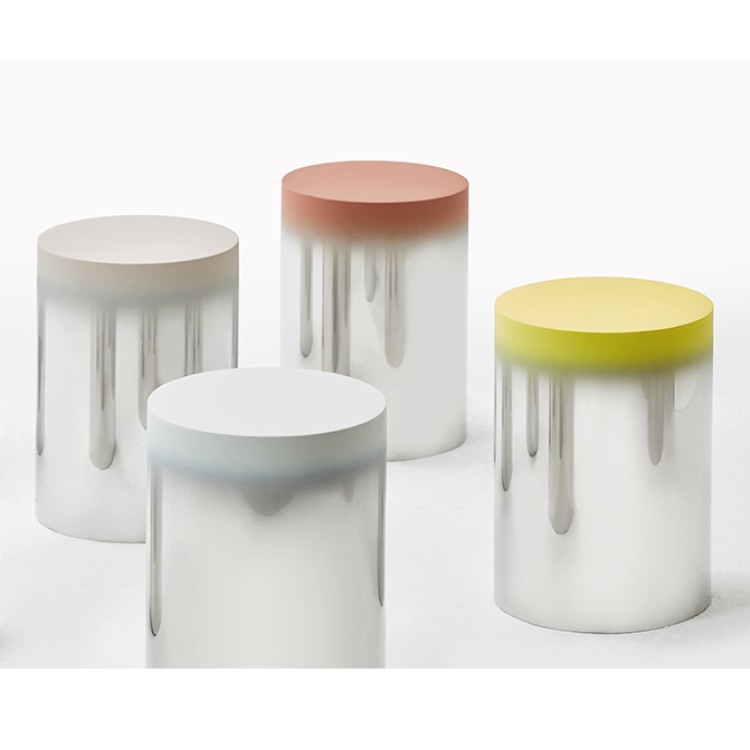 It took several years to reach the final production of the ‘Gres’ stool and ‘Gata’ chair. 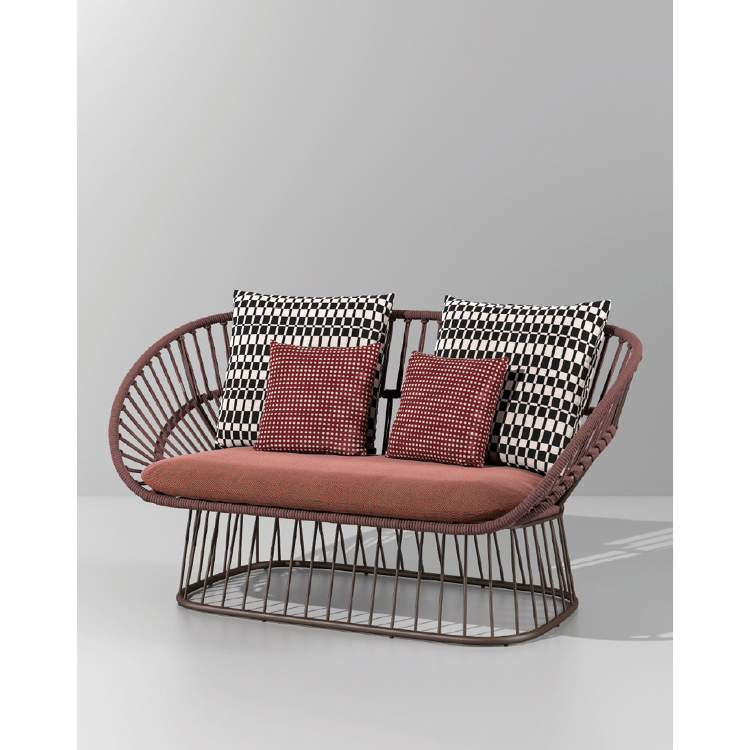 The latter pays homage to the artisan craftsmen of Gata de Gorgos, a small village in the province of Alicante where Miguel learnt how to work rattan 50 years ago. 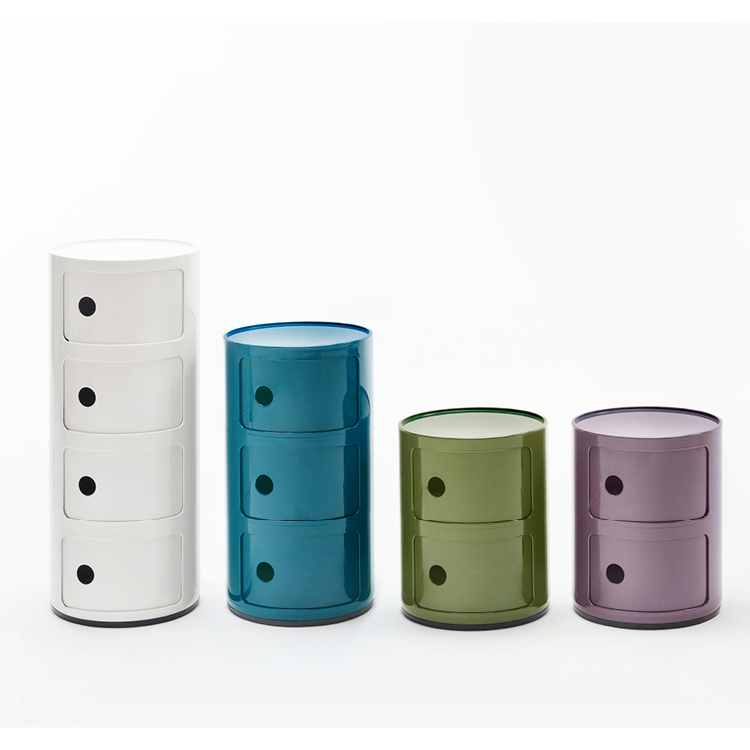 Expormim is available locally at ECC. 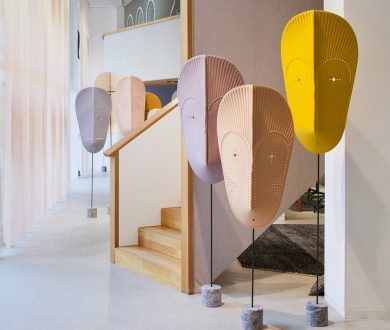 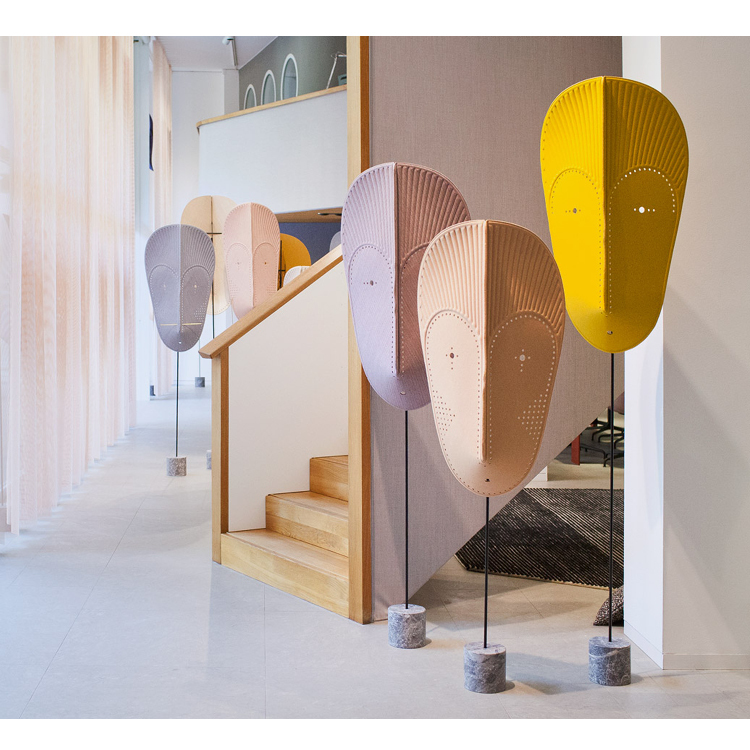 Drawing inspirations from the ancient concept of ritual masks, GamFratesi presents MASK, an expressive installation celebrating the colours of Kvadrat textiles. 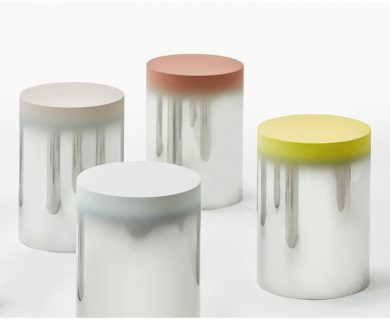 These 24 stools were launched as an ambitious project intended to introduce artistic installations, all of which revolve around the theme of ‘suim’ — which translates into ‘resting’ in english. 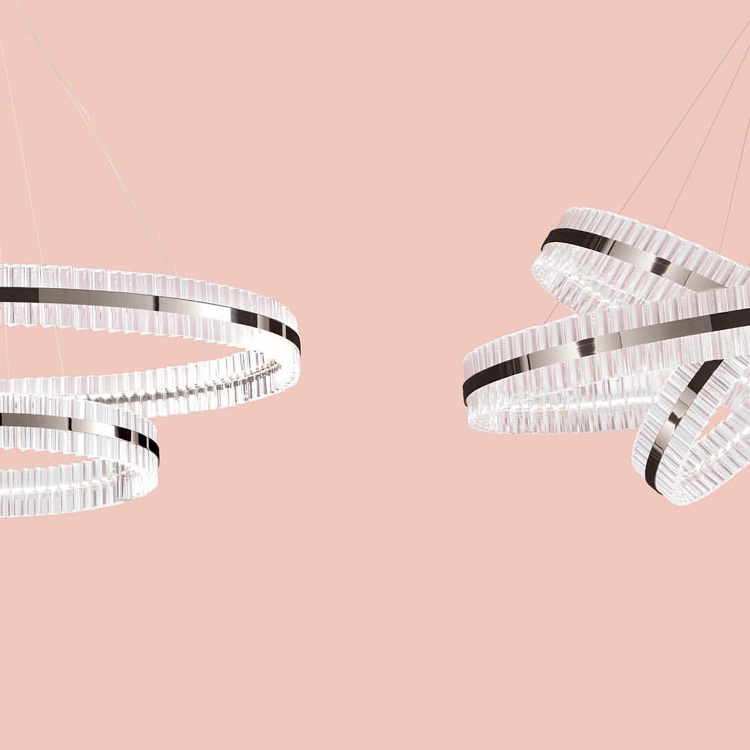 A first for the designer, this industrially-produced luminary was conceived with the idea of elevating the relationship humans have with light, from a functional dimension to an emotional one. 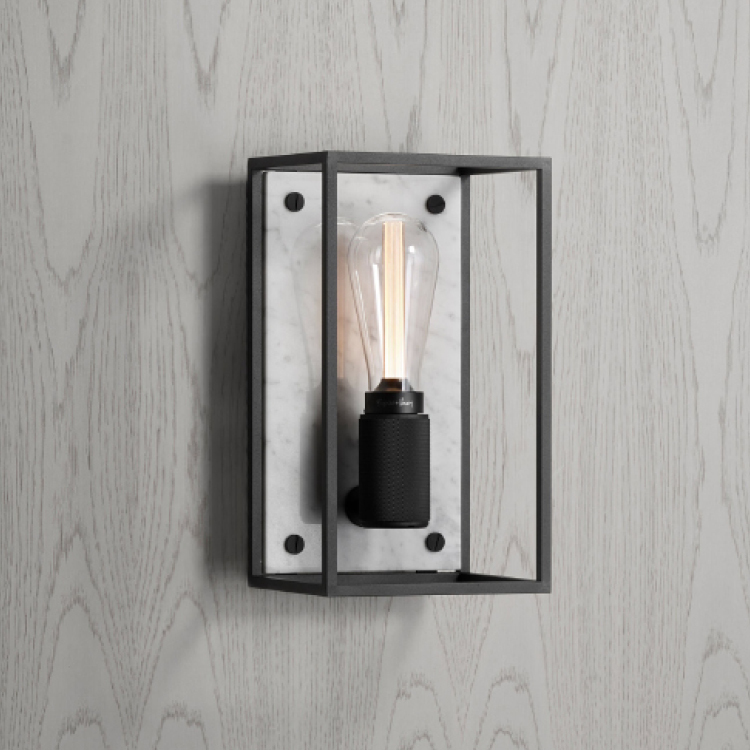 Flos is available locally at ECC. 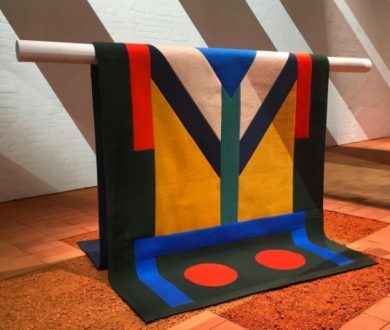 The patchwork gets a modern makeover with this luxurious throw for the design house Hermes. 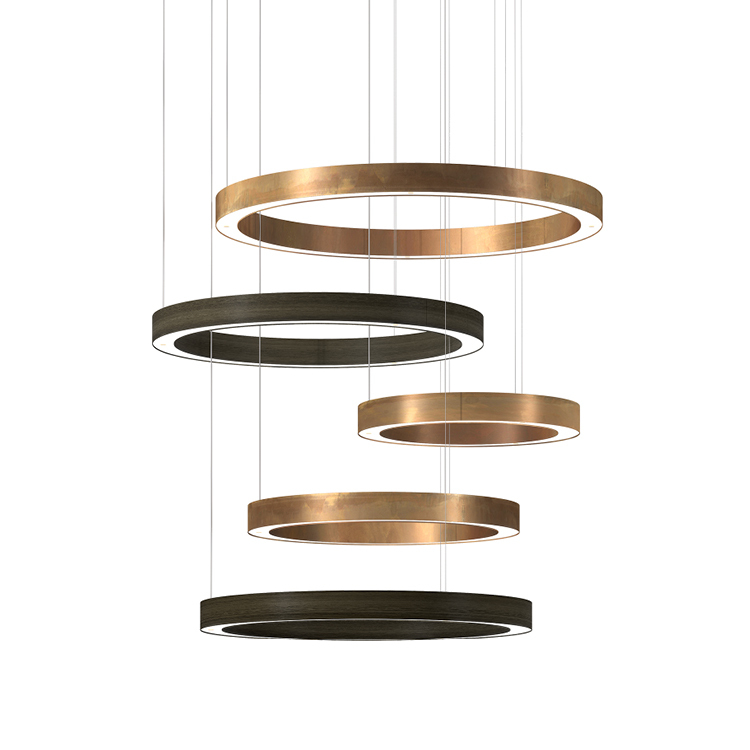 As spacious as it is elegant it gives the illusion of floating on delicate solid wood blades. 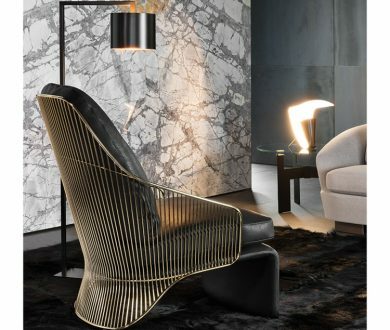 Walter Knoll is available locally at Matisse. 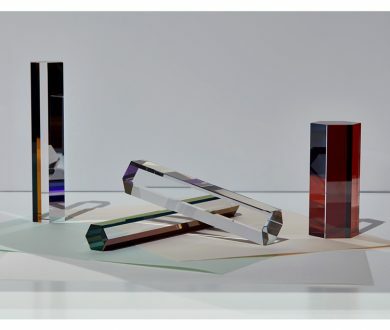 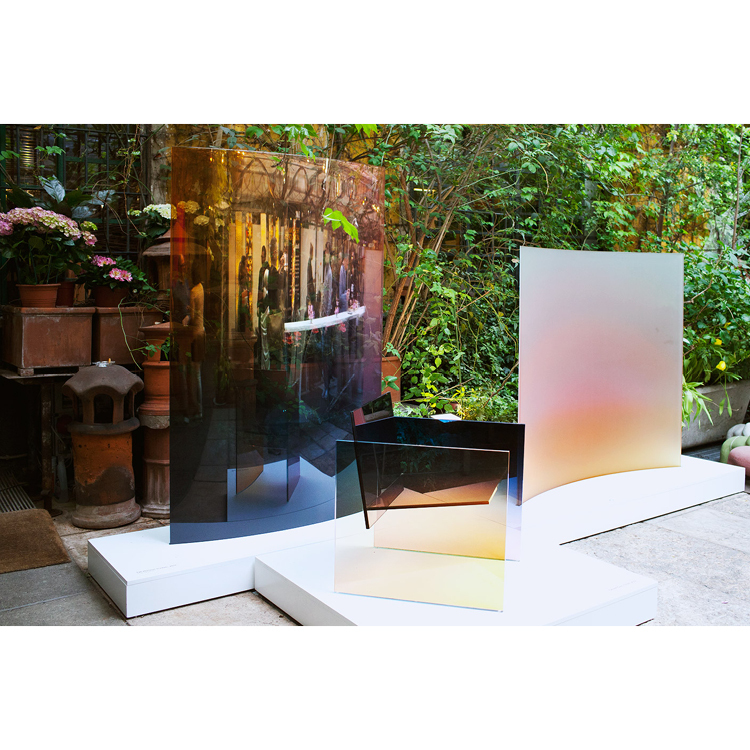 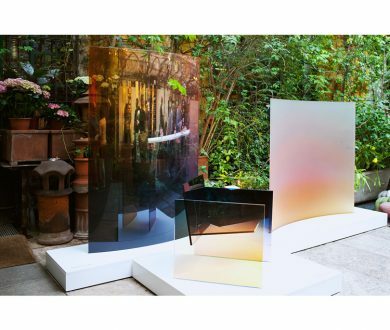 A designer who seeks to interrupt and augment radiant energy through the refraction of light, Hogan’s work spans the functional and the sculptural. 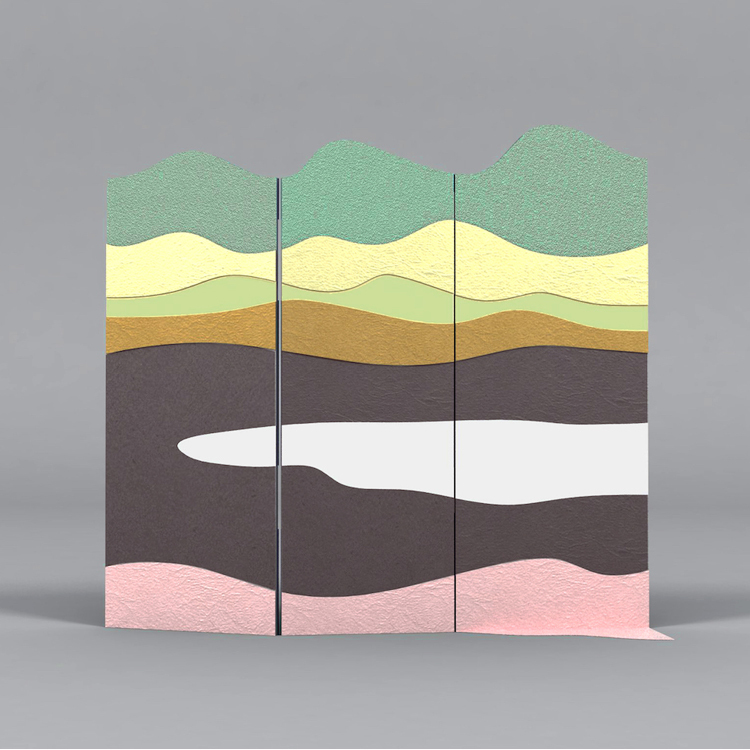 Roll & Hill is available locally at ECC.